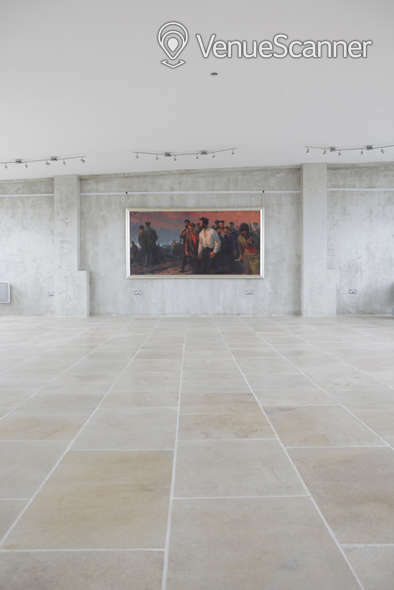 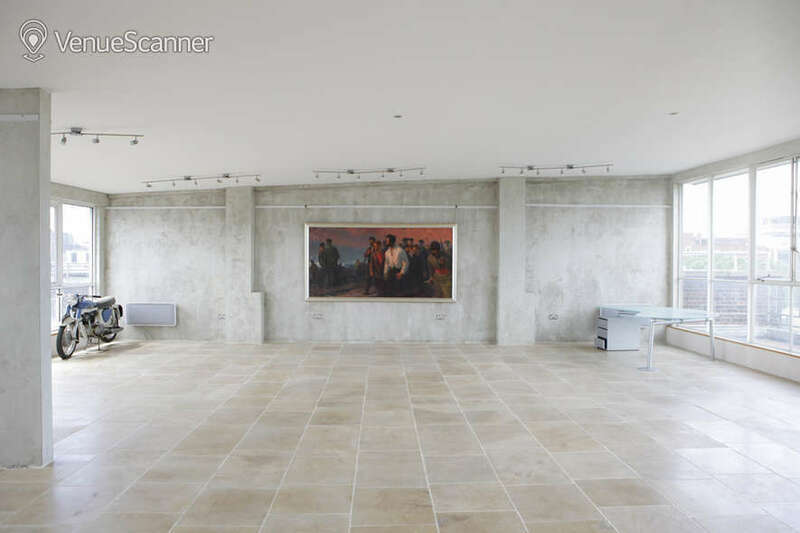 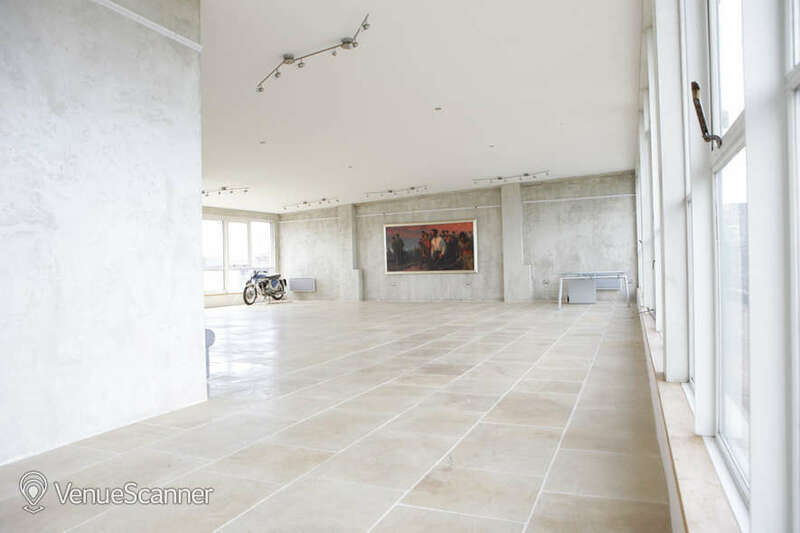 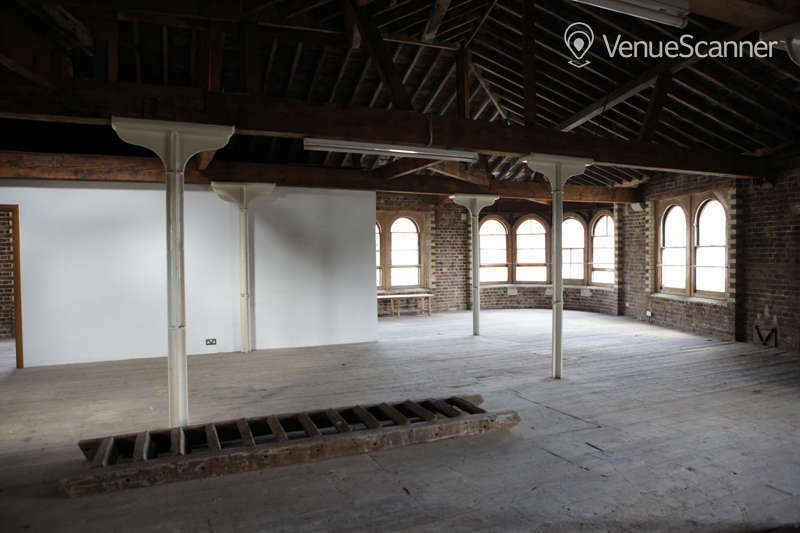 Dry hire - hiring a space or venue without added on catering services - it’s the perfect solution for when a blank canvas is all you really need. 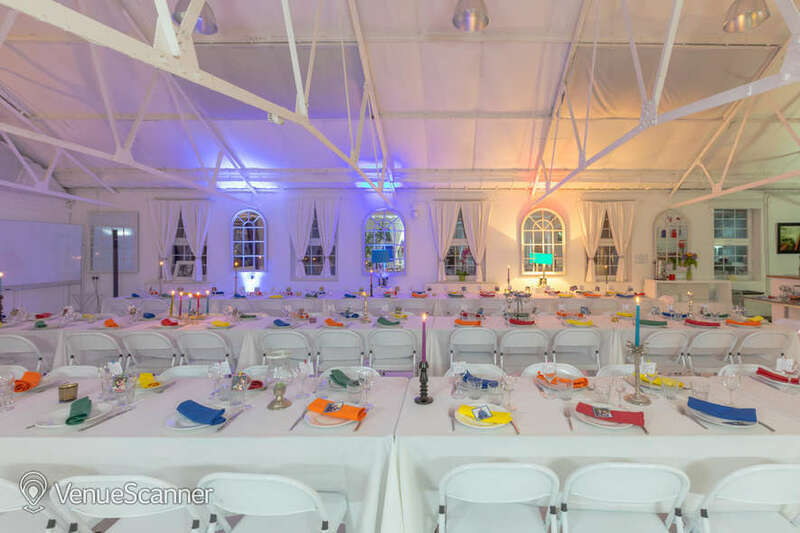 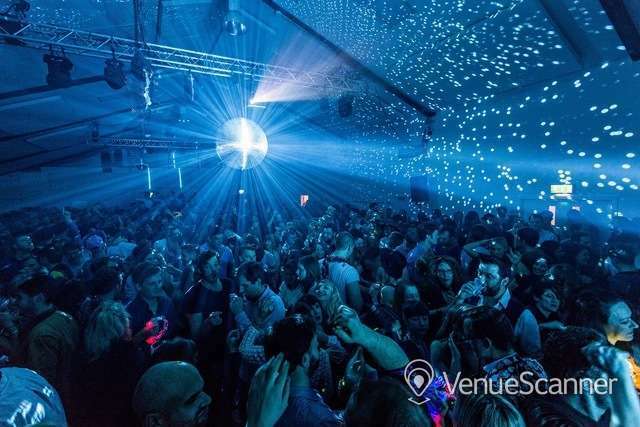 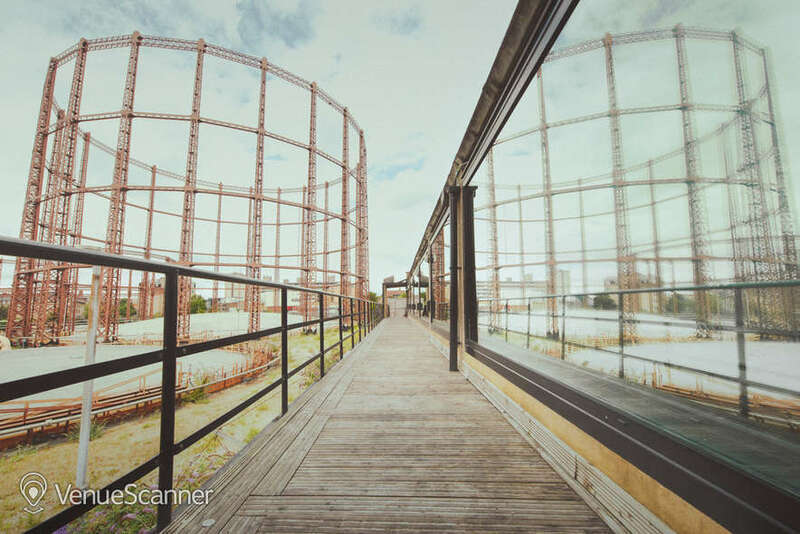 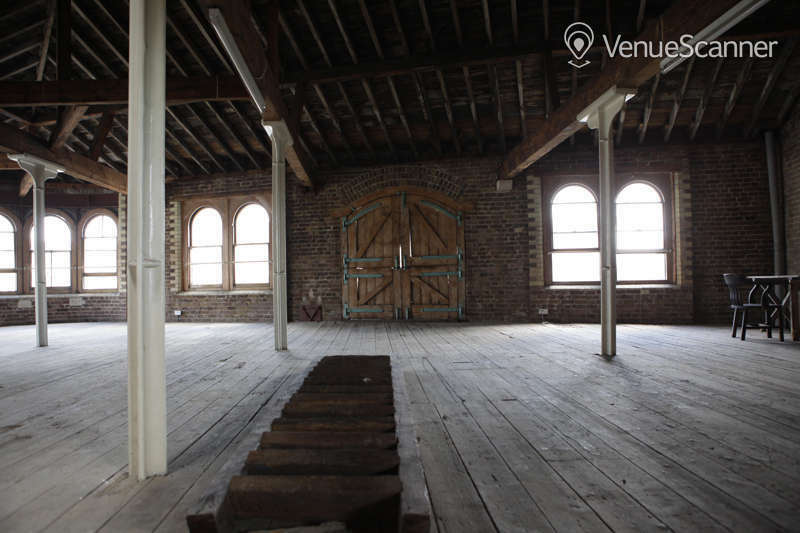 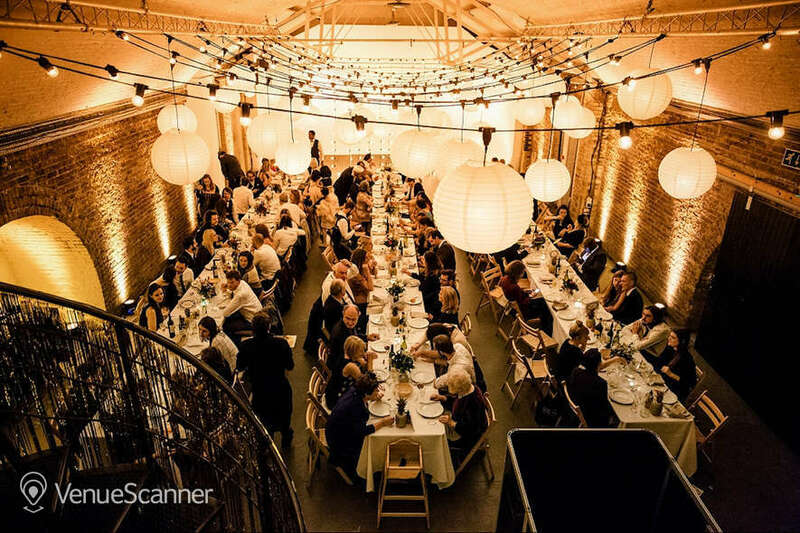 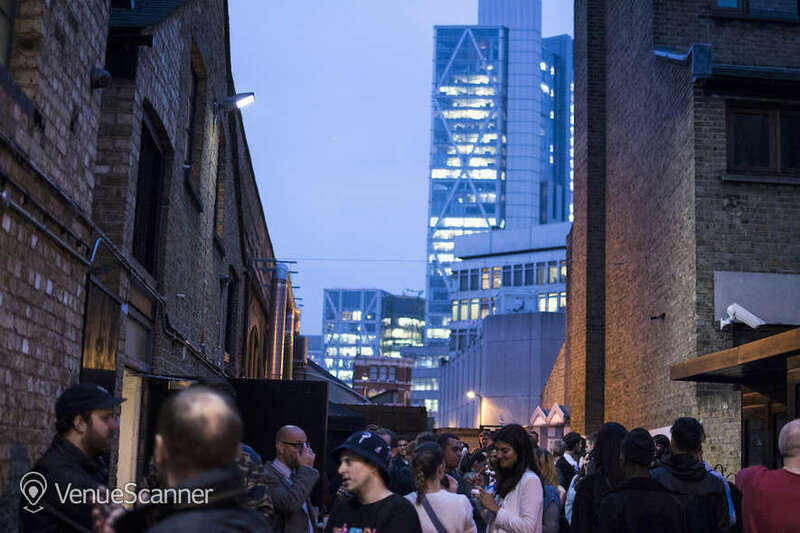 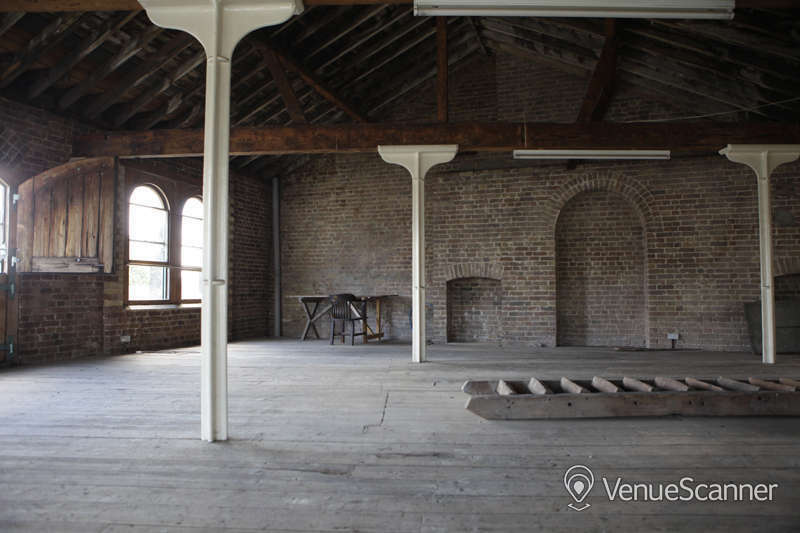 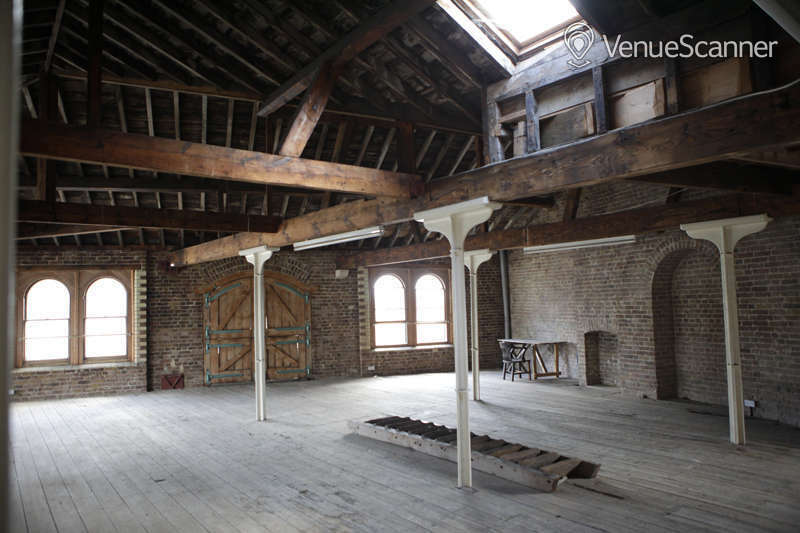 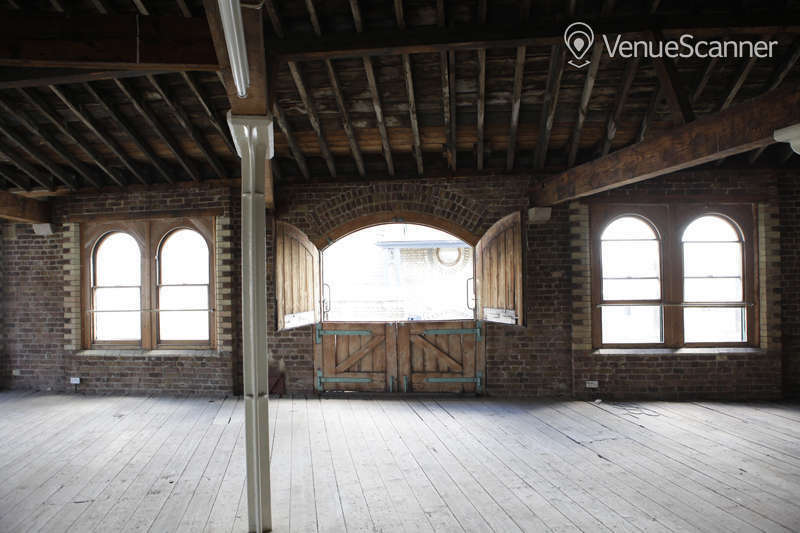 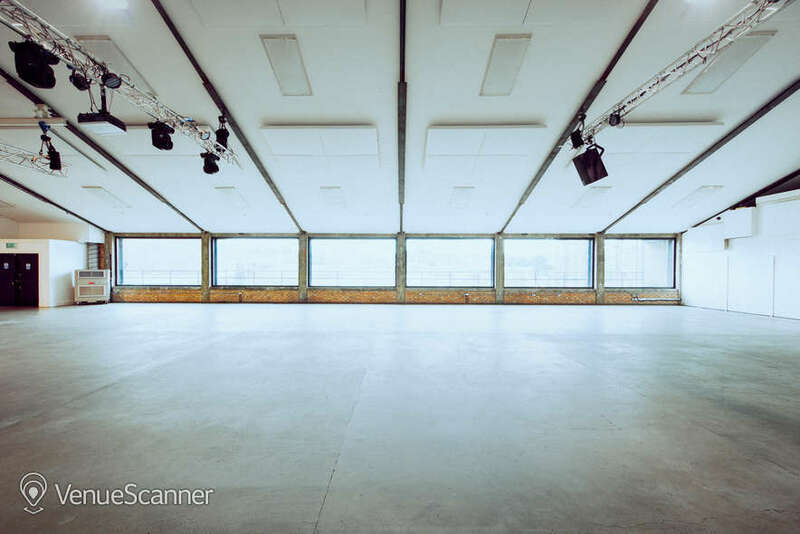 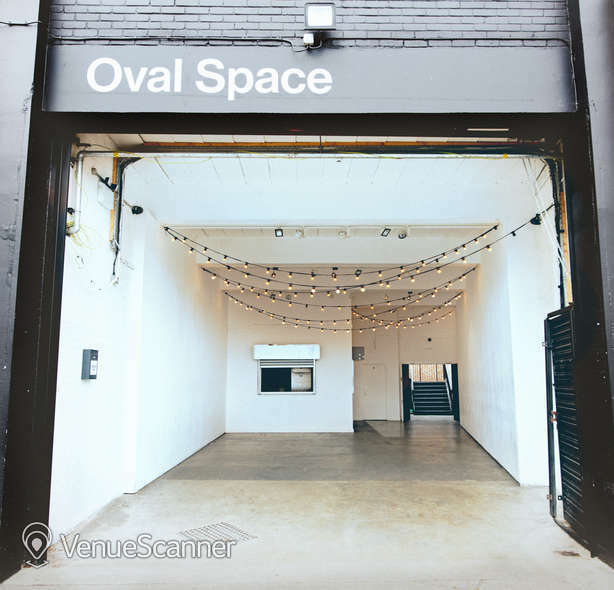 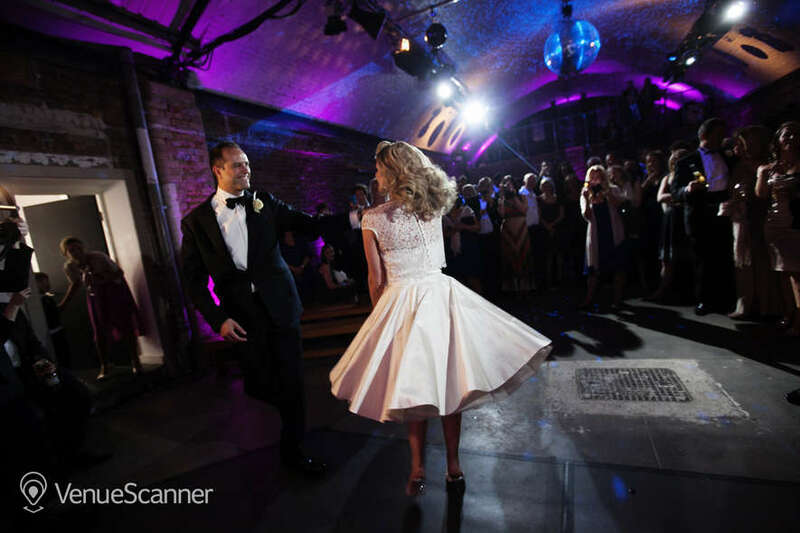 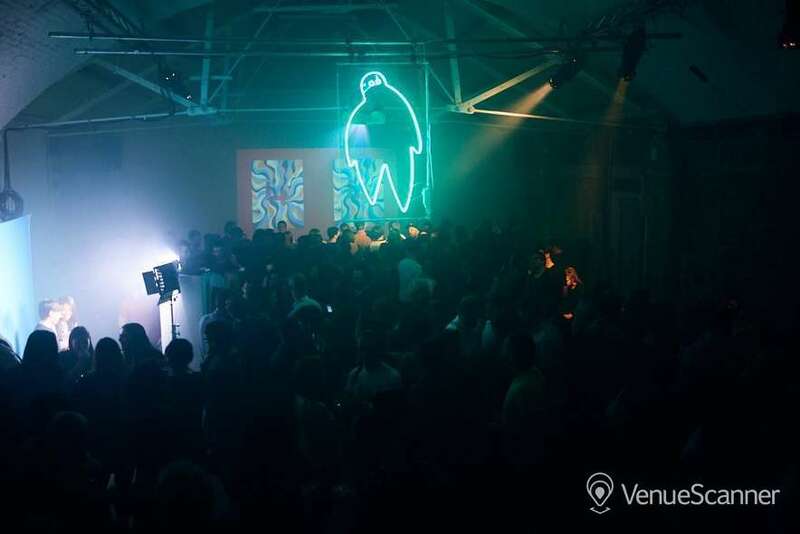 Oval Space is an amazing warehouse-style venue that offers 5,000 square ft of blank canvas space, with the iconic backdrop of the Bethnal Green Gas Holders. 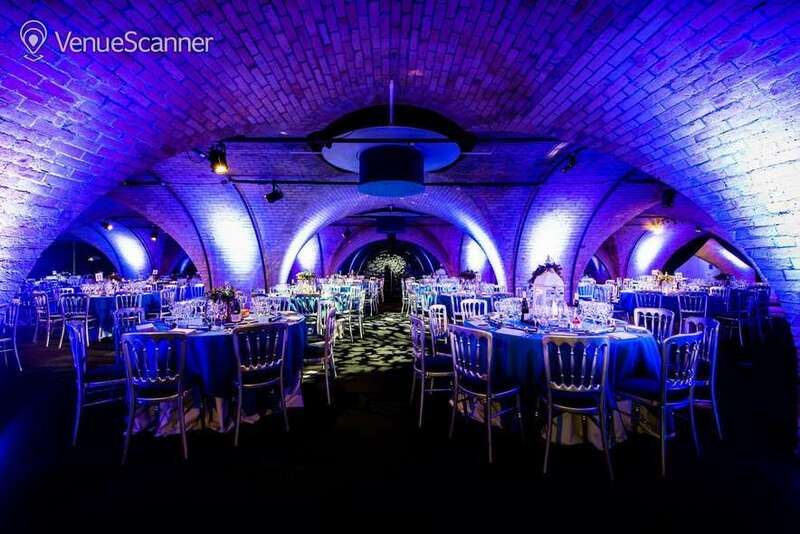 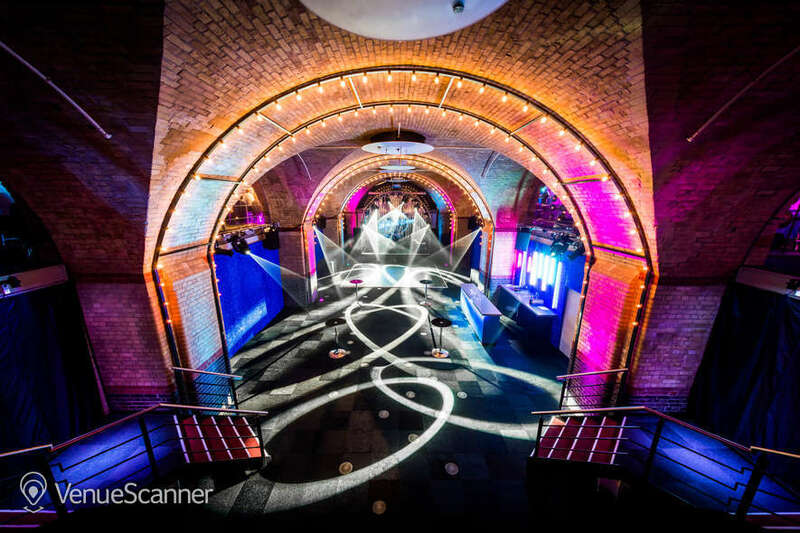 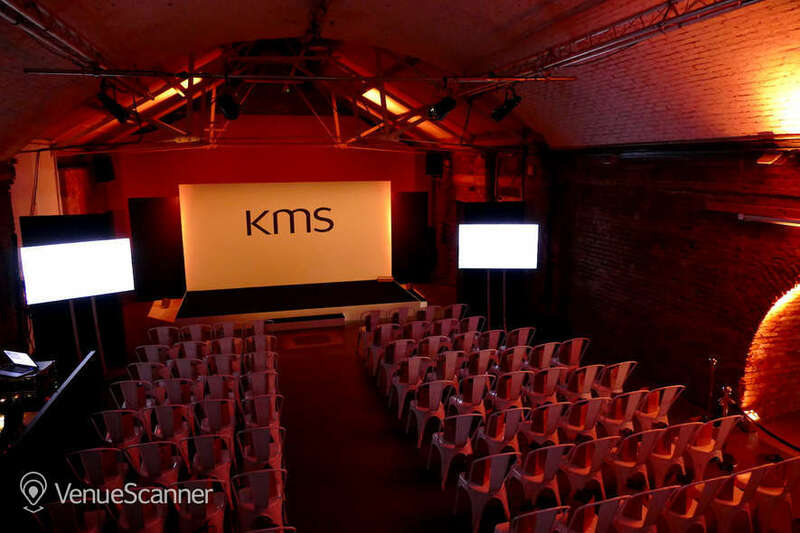 Finalists at the London venue Awards for most versatile space, Oval space can be tailored to any need. 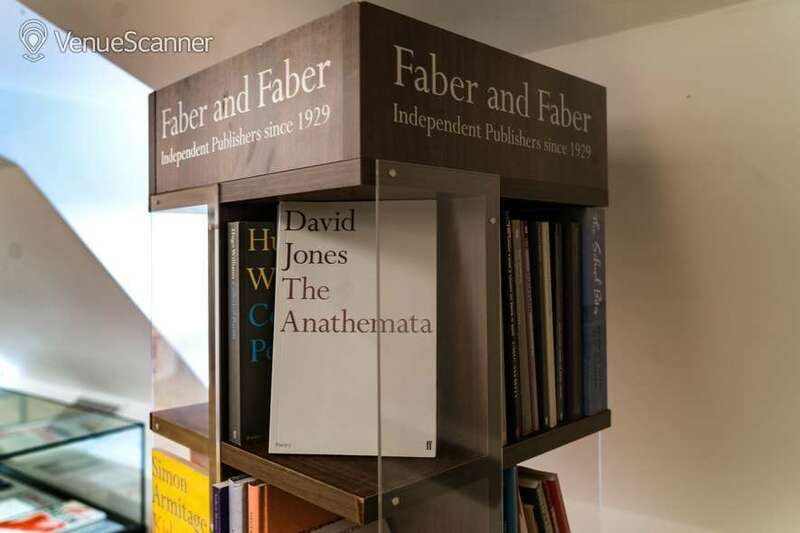 Nestled under the eaves in an iconic publishers former headquarters, the Faber event space is a clean, modern and bright blank space. 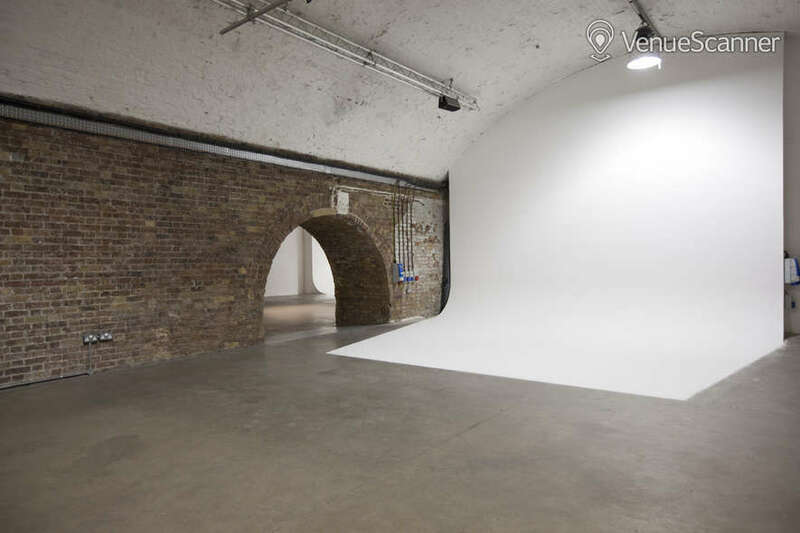 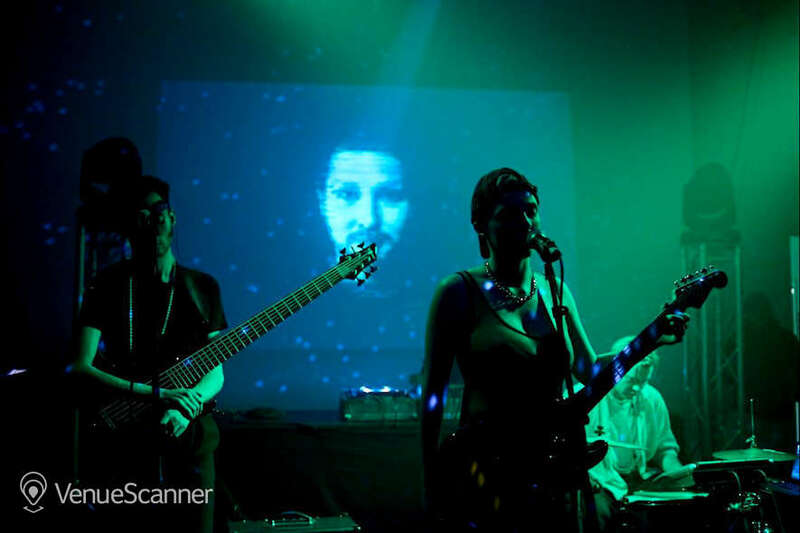 It’s flexibility and central location makes it the perfect solution to a range of events from performances to photoshoots. 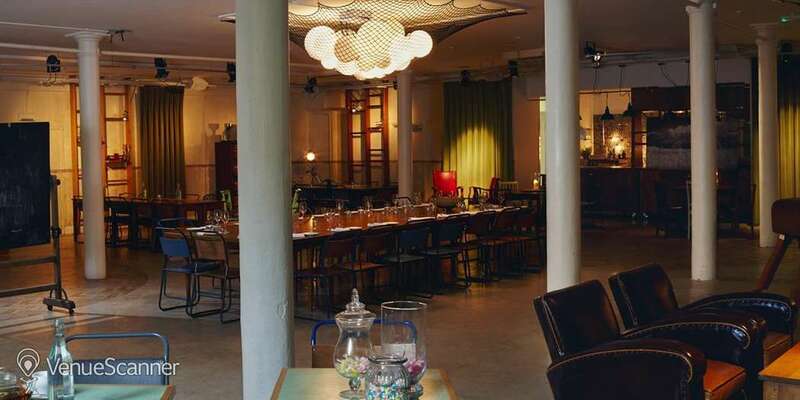 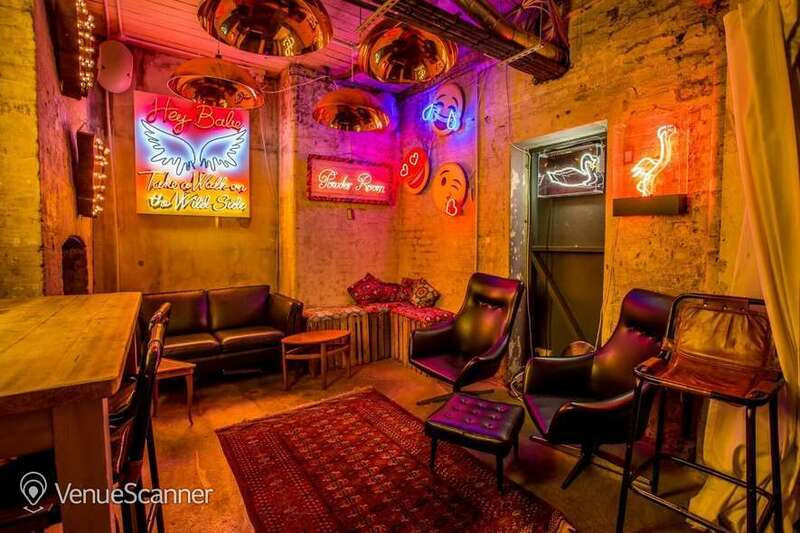 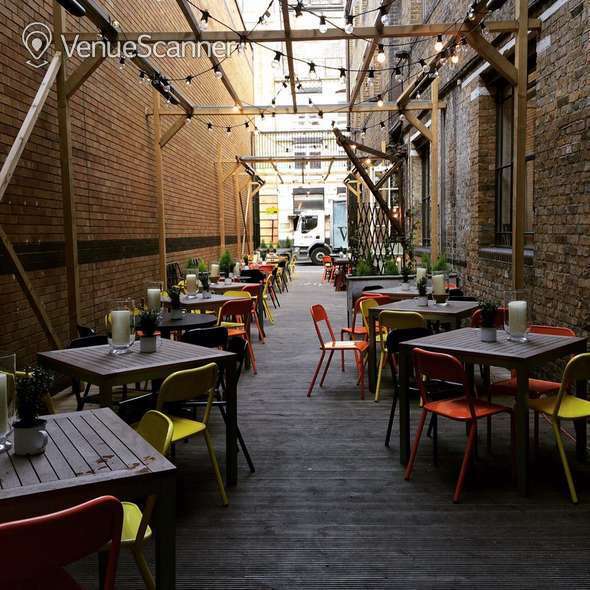 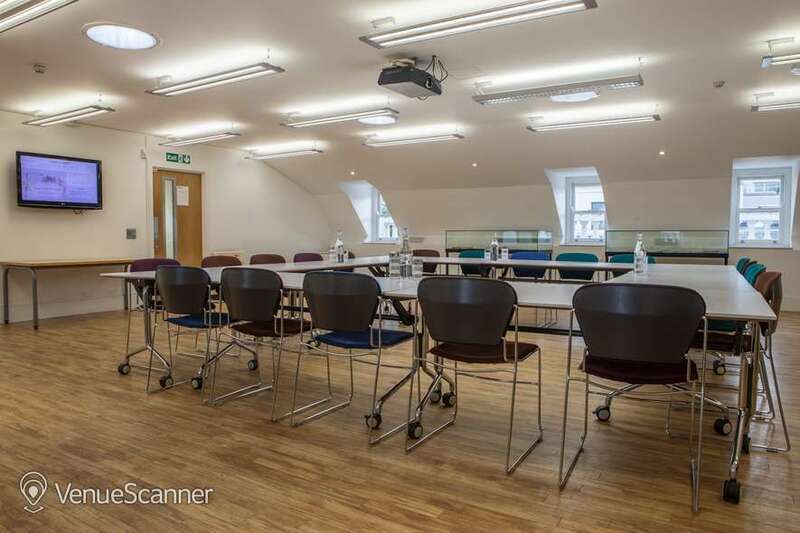 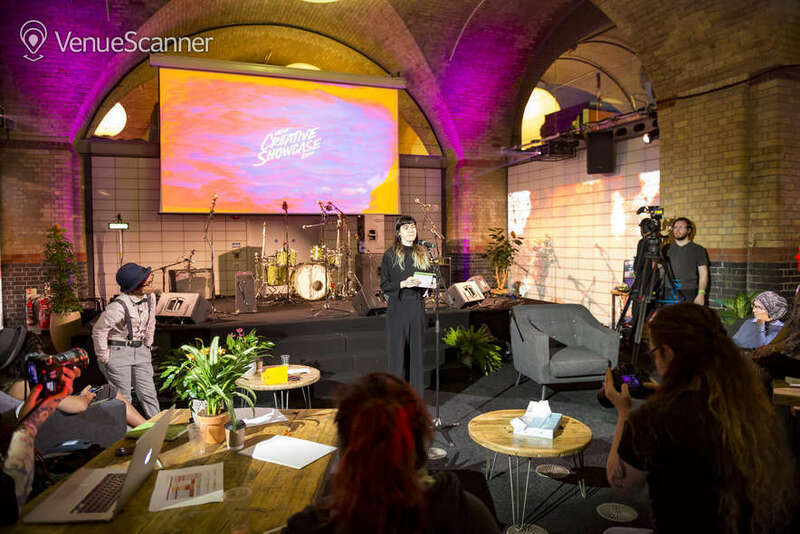 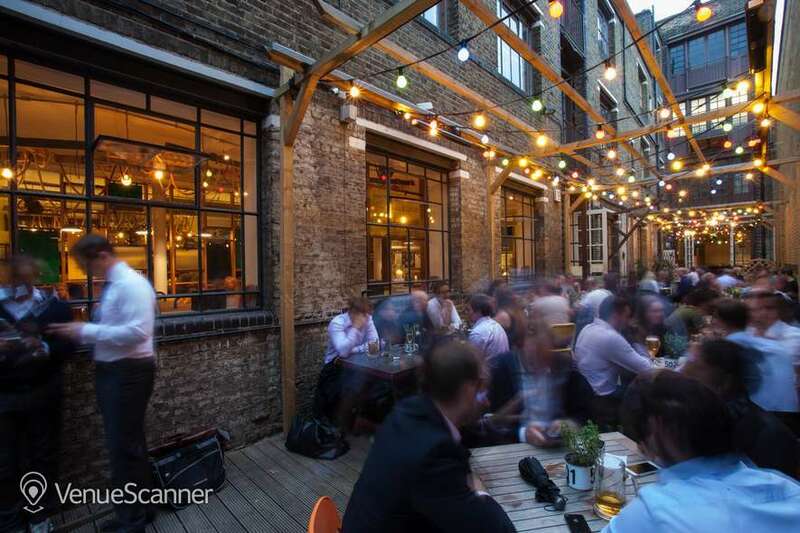 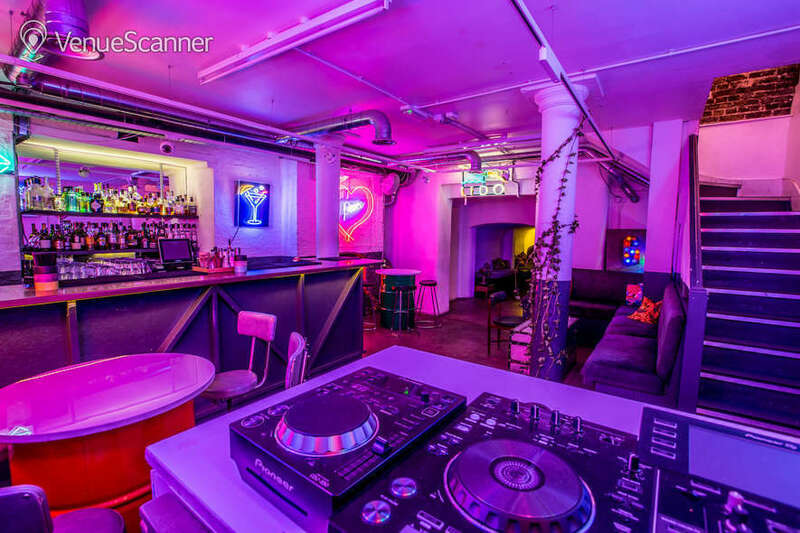 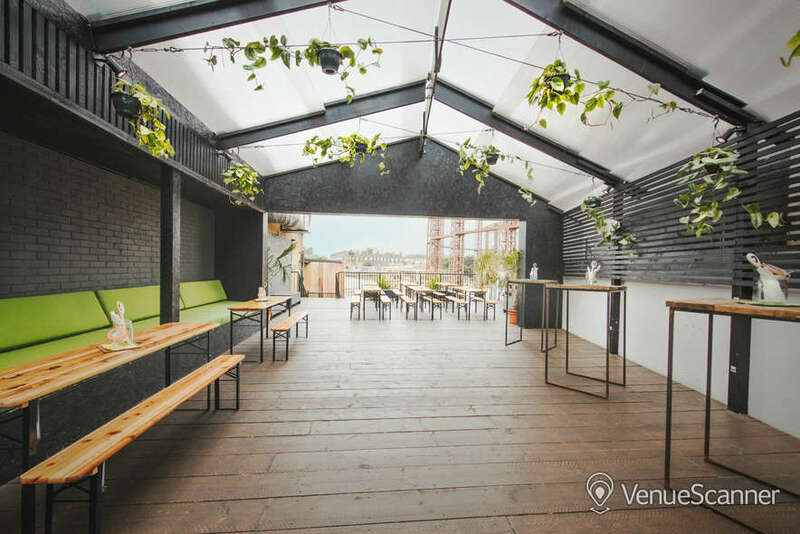 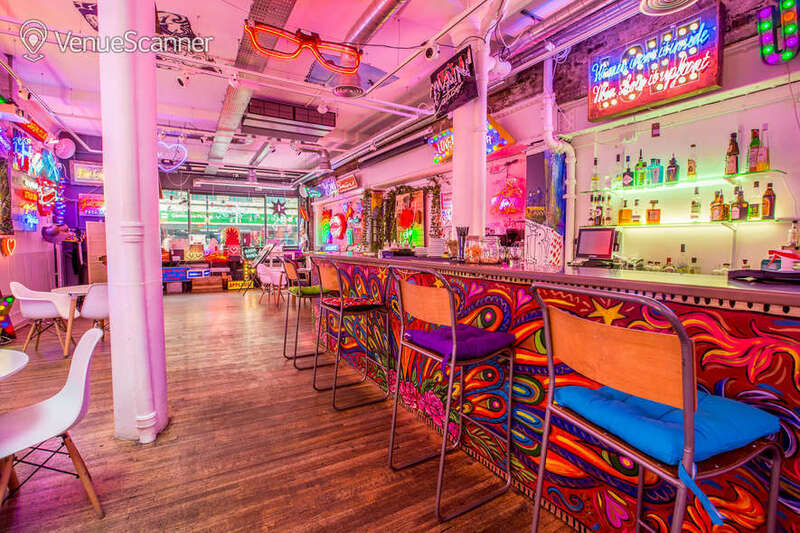 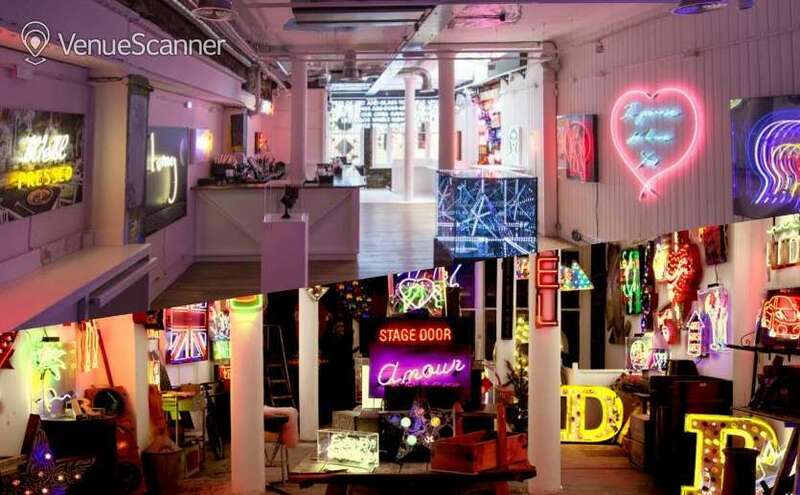 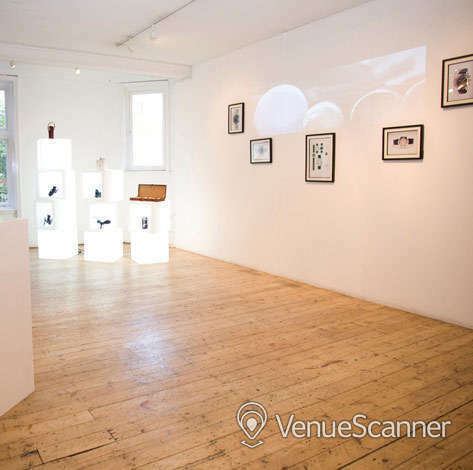 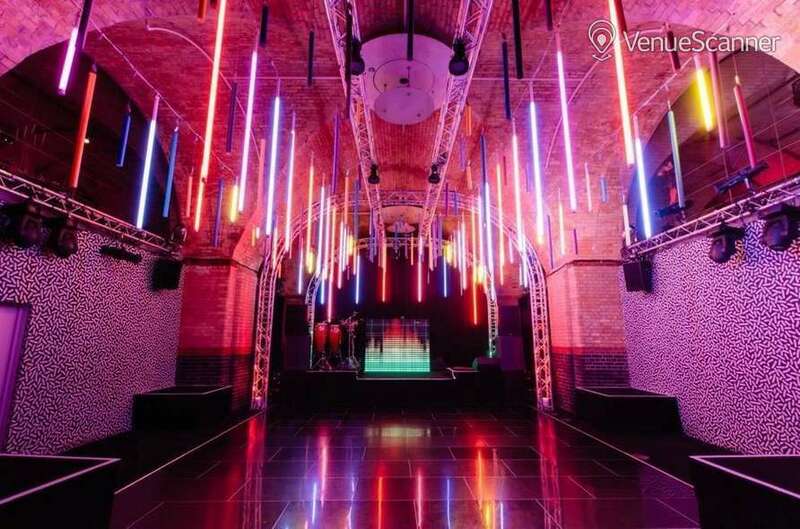 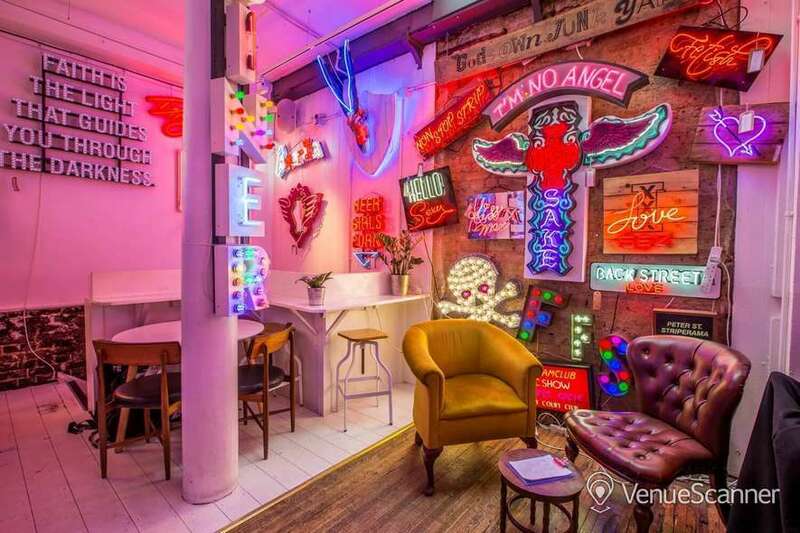 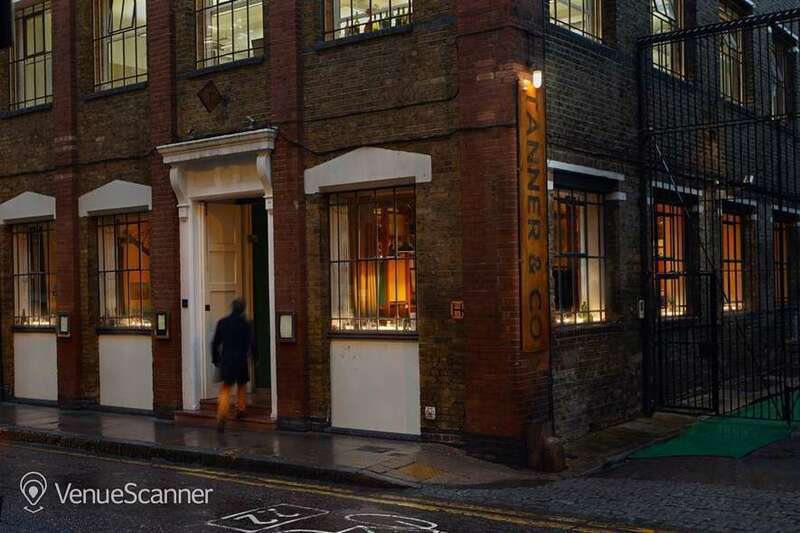 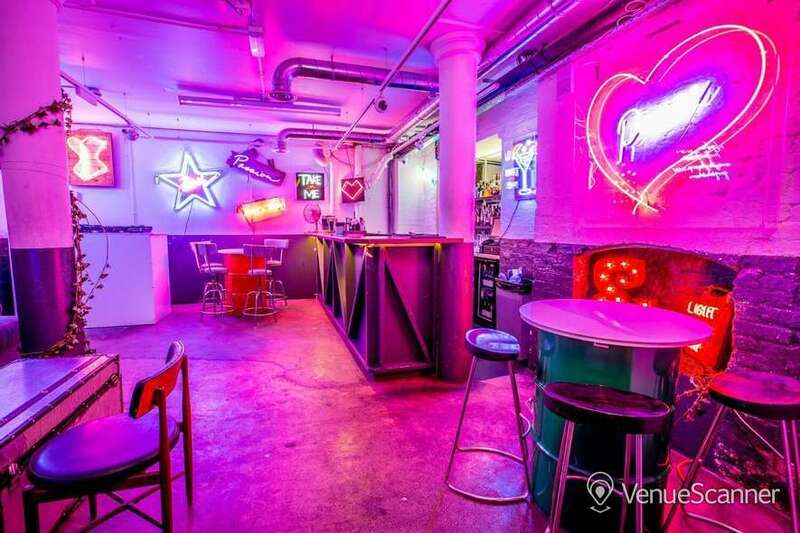 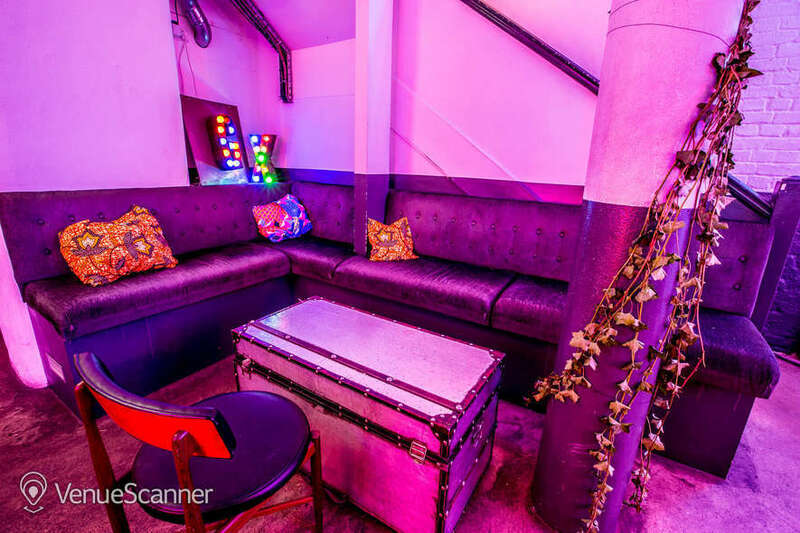 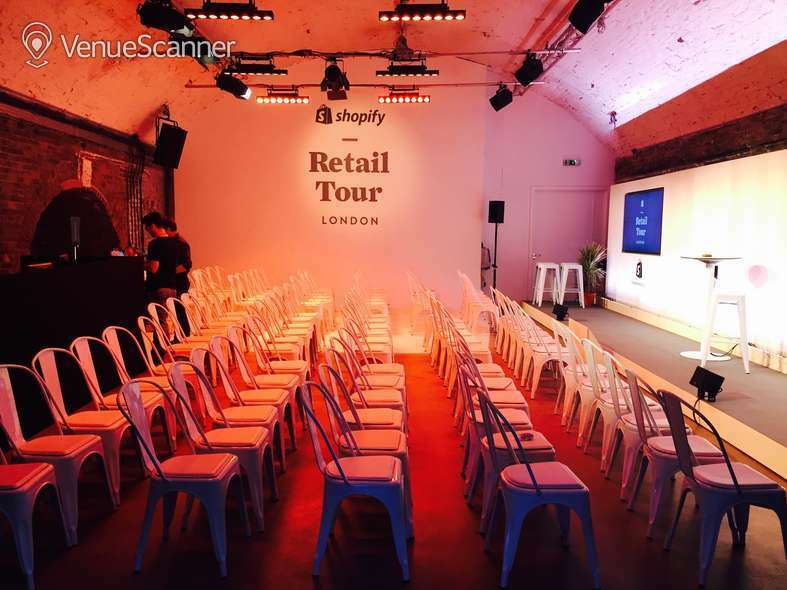 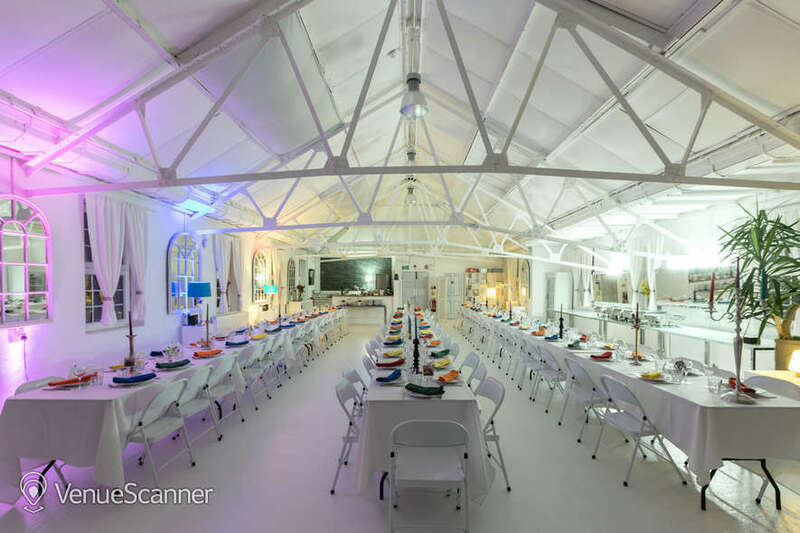 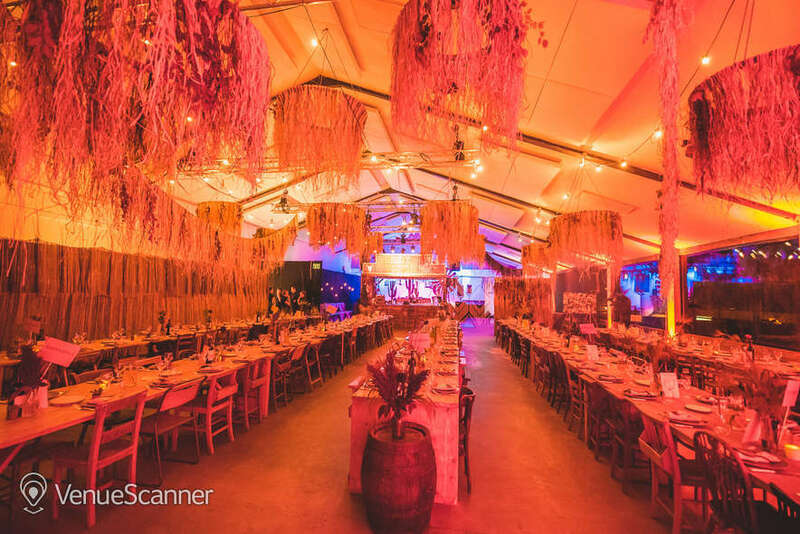 Colourful, creative and centrally located - this Soho space ticks all the right boxes for event organisers looking for a unique environment. 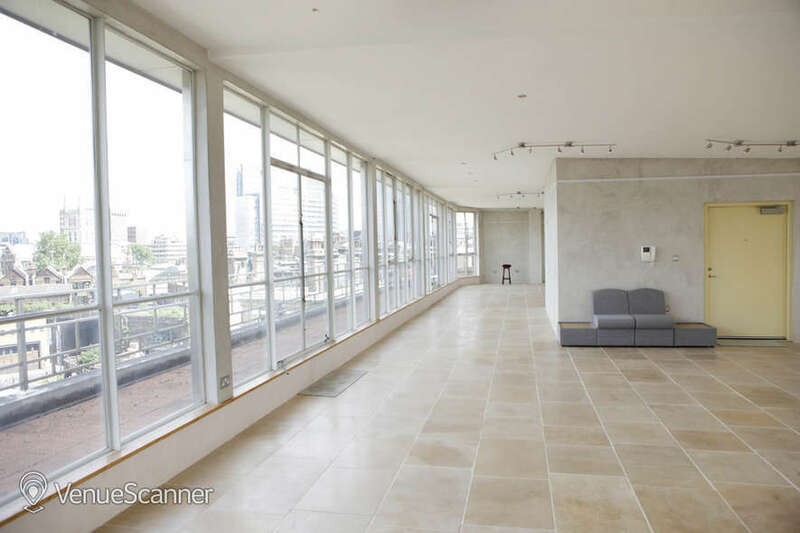 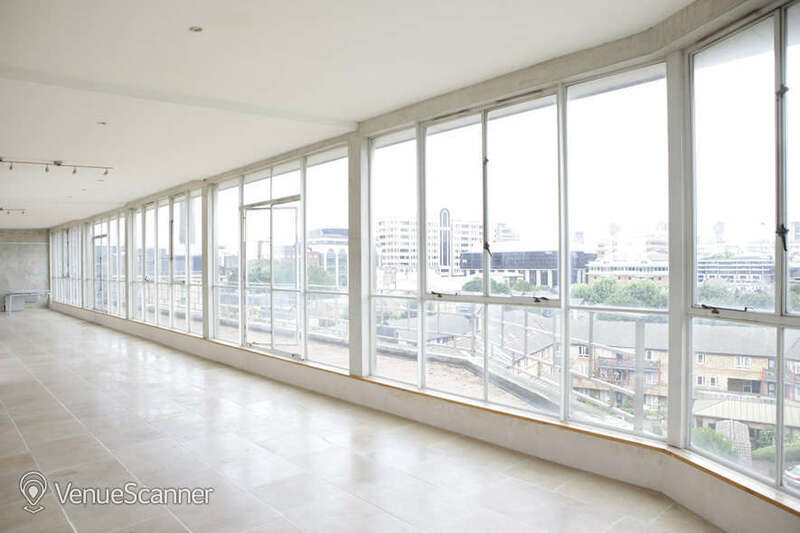 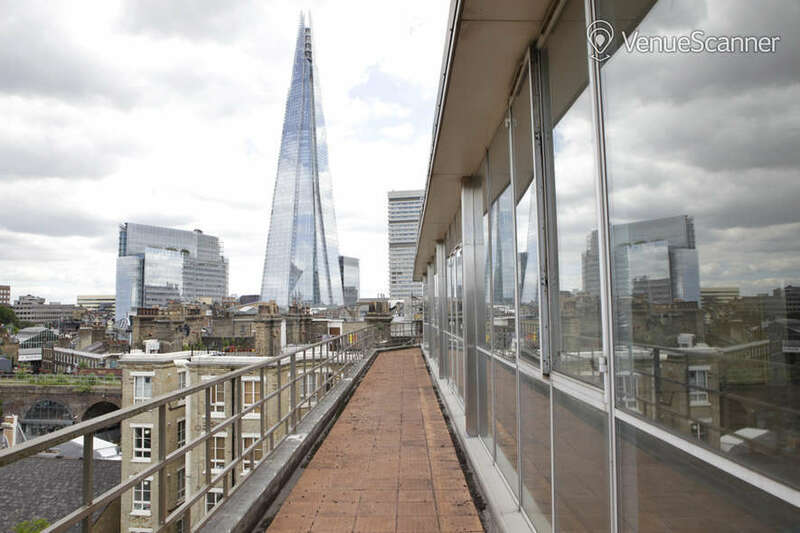 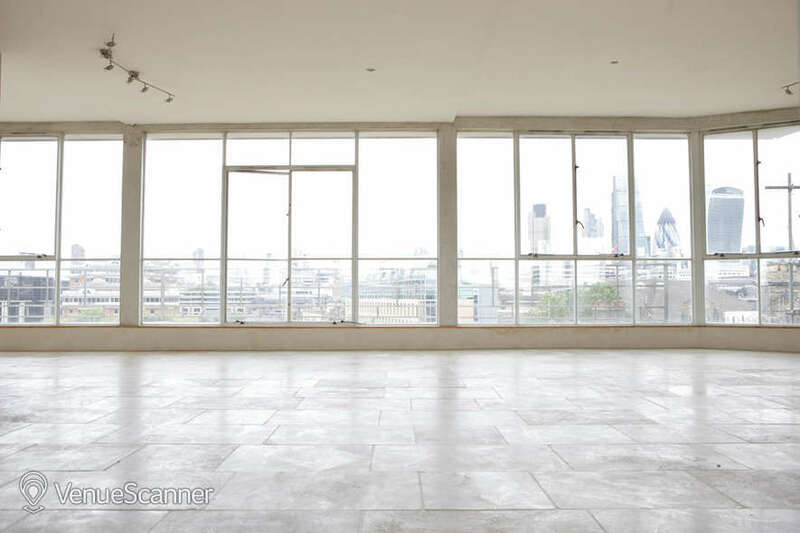 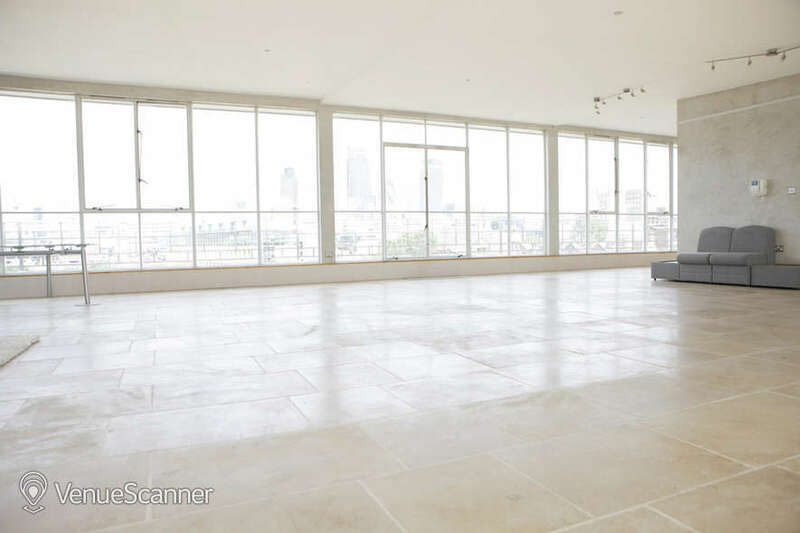 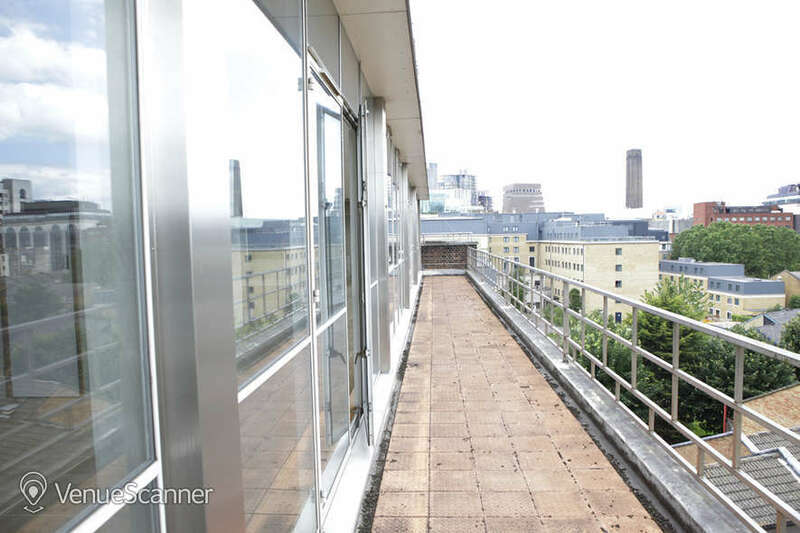 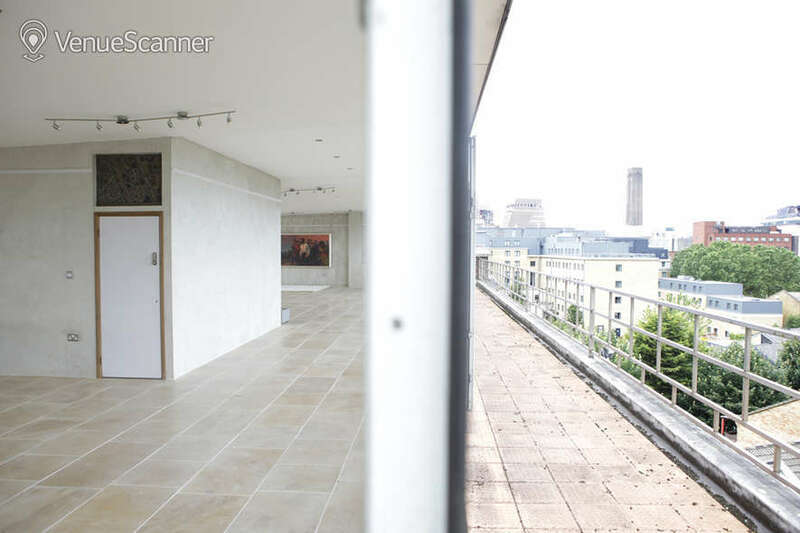 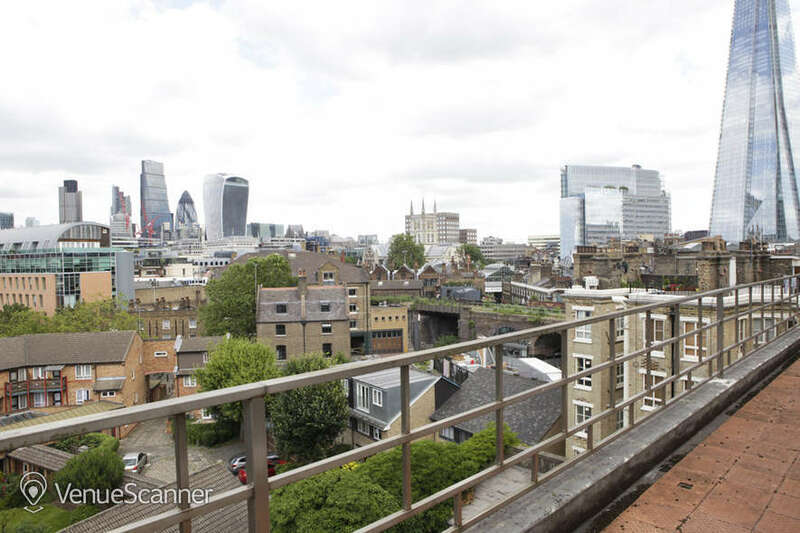 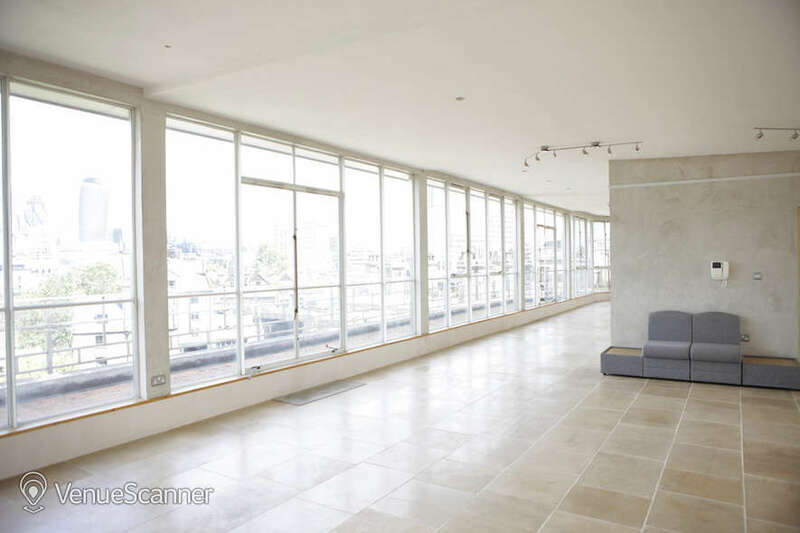 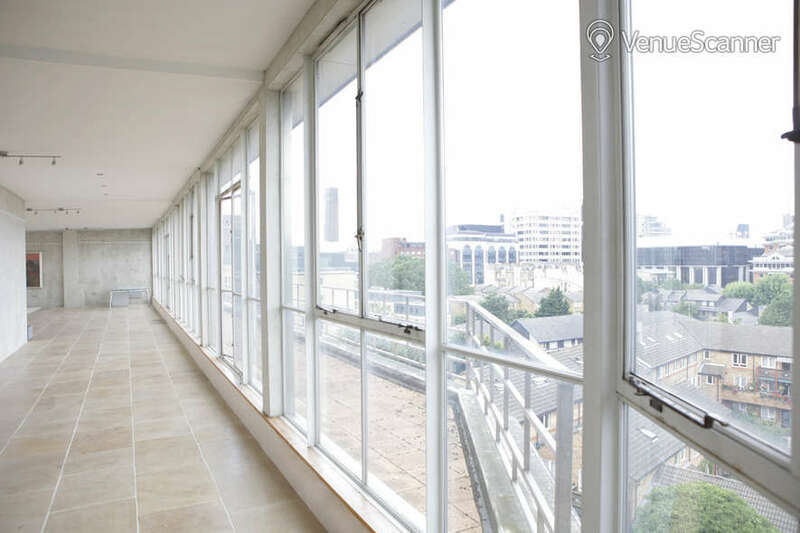 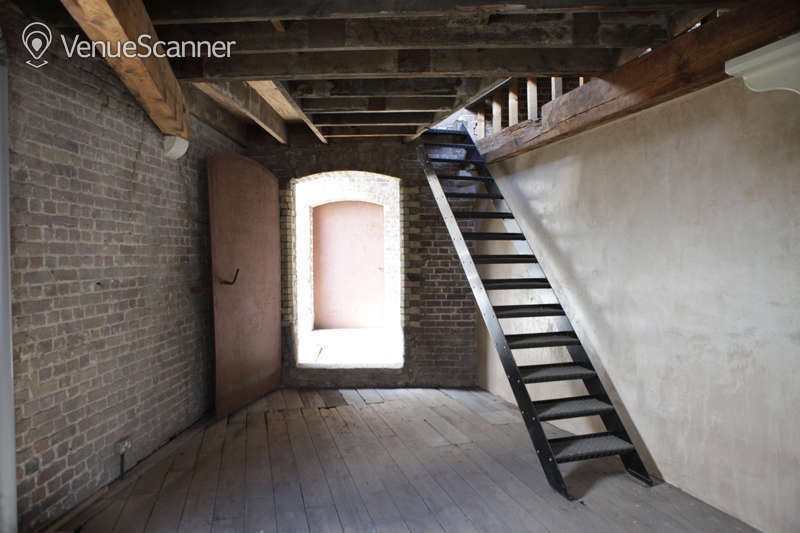 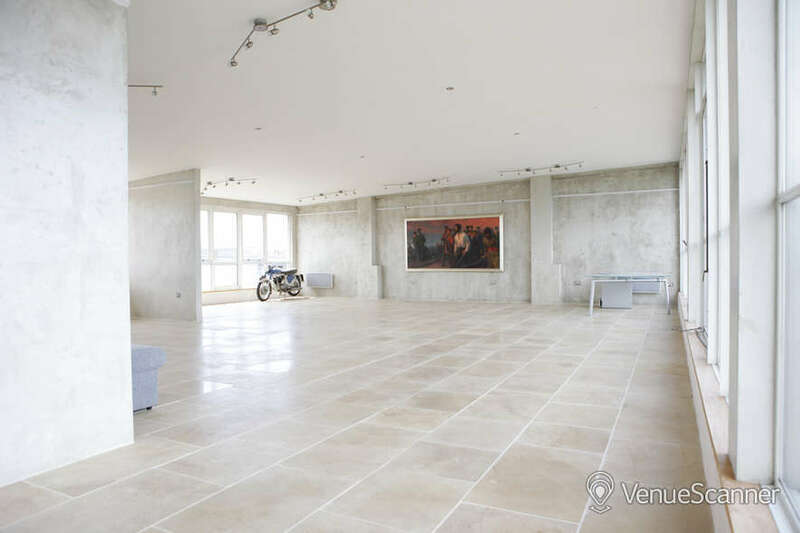 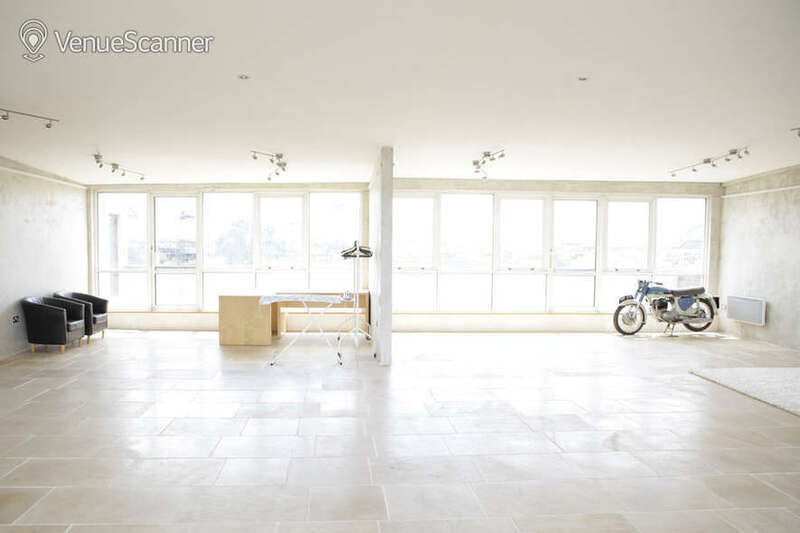 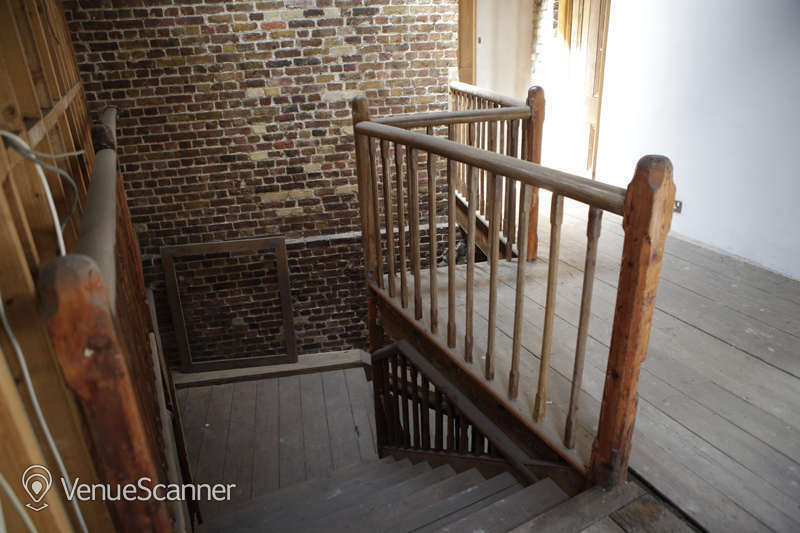 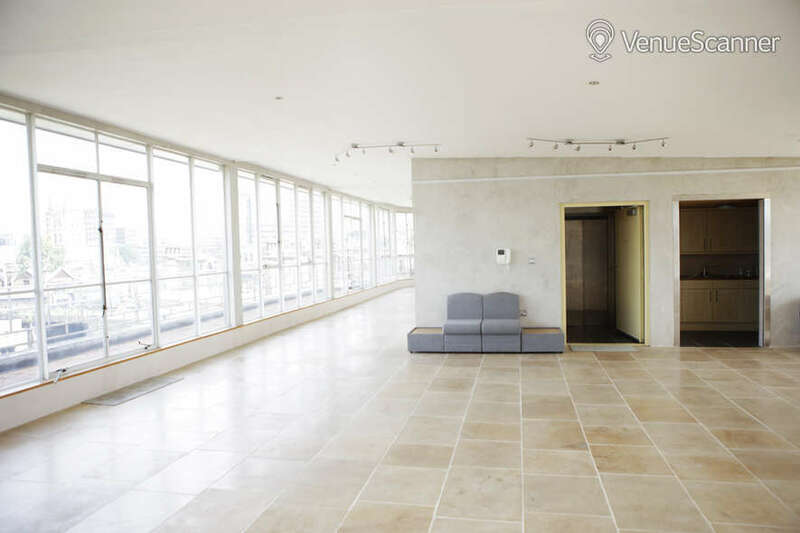 The location and the panoramic views are hard to beat at this spectacular 5th floor penthouse in the heart of London Bridge. 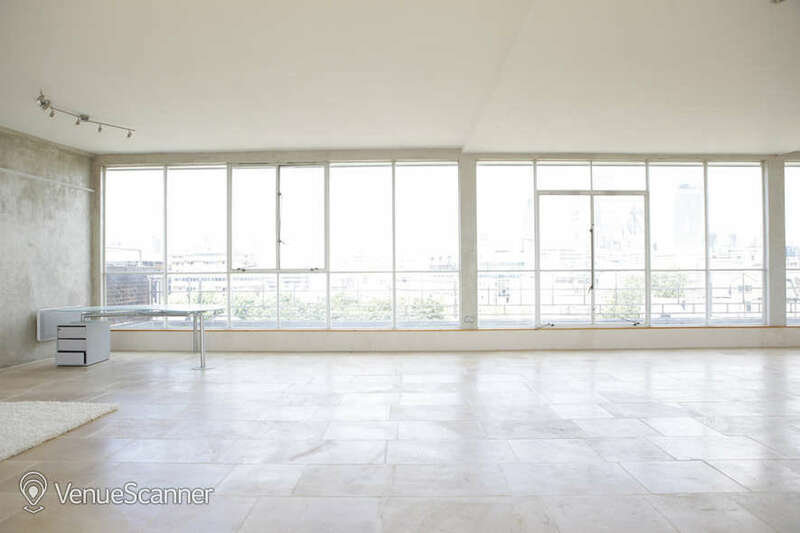 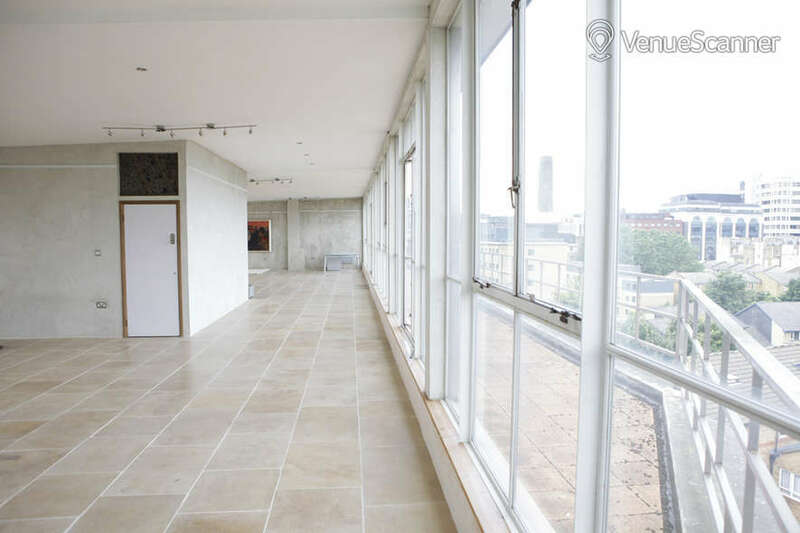 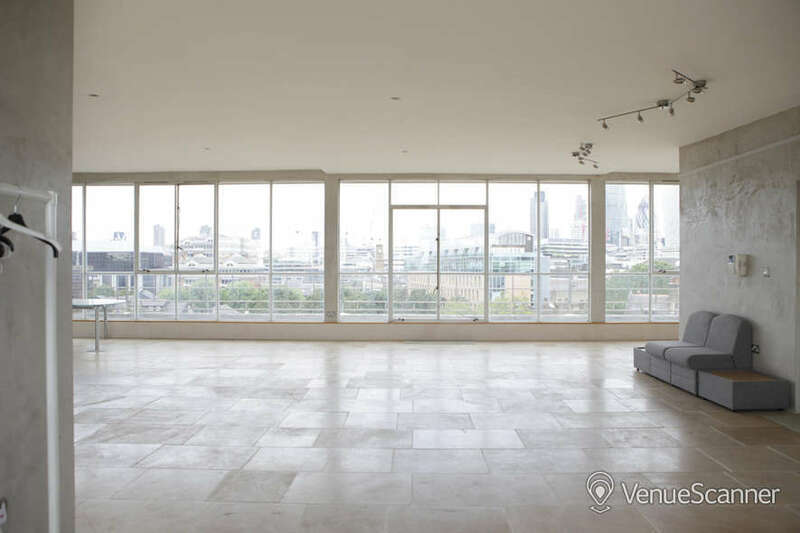 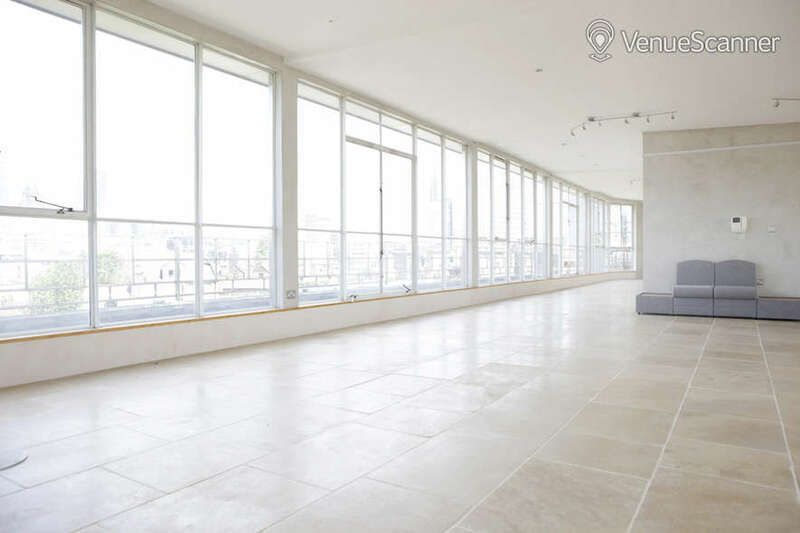 Floor to ceiling windows and two balconies make this space the perfect setting for drinks receptions. 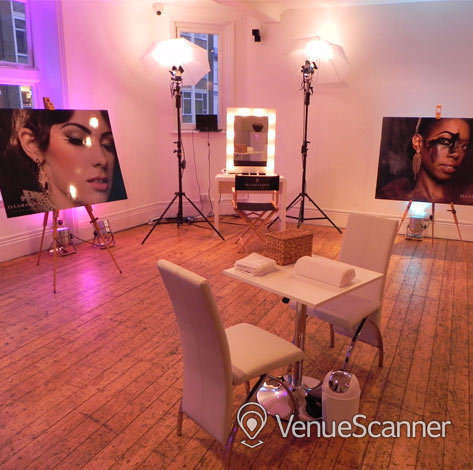 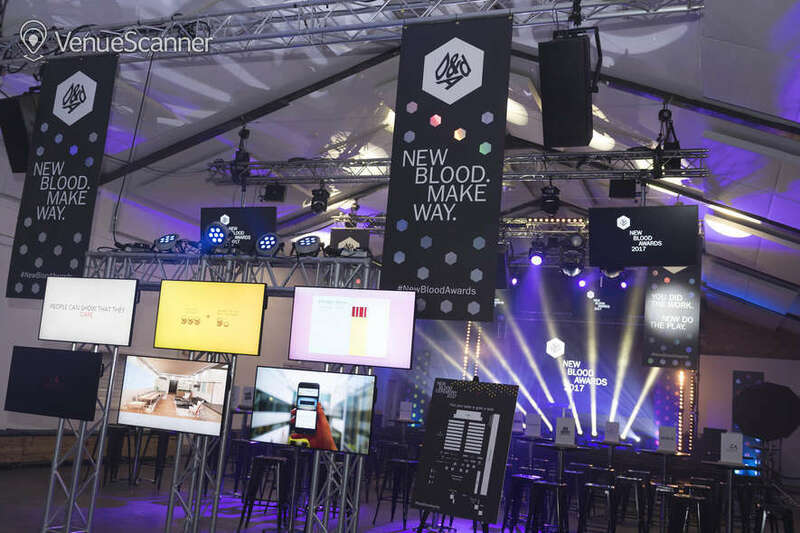 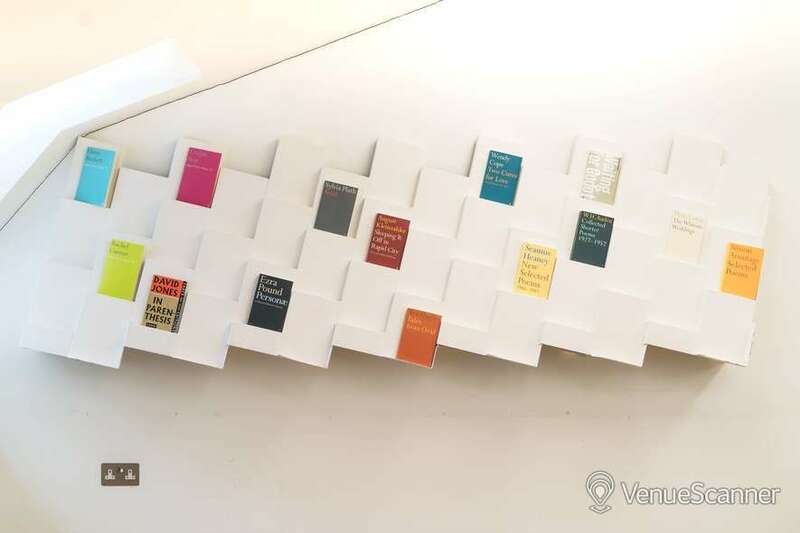 To many, it might seem madness to hire just a space for your event when there are so many great venues with dedicated service teams that can help you plan and execute the perfect event, right down to the minutest detail. 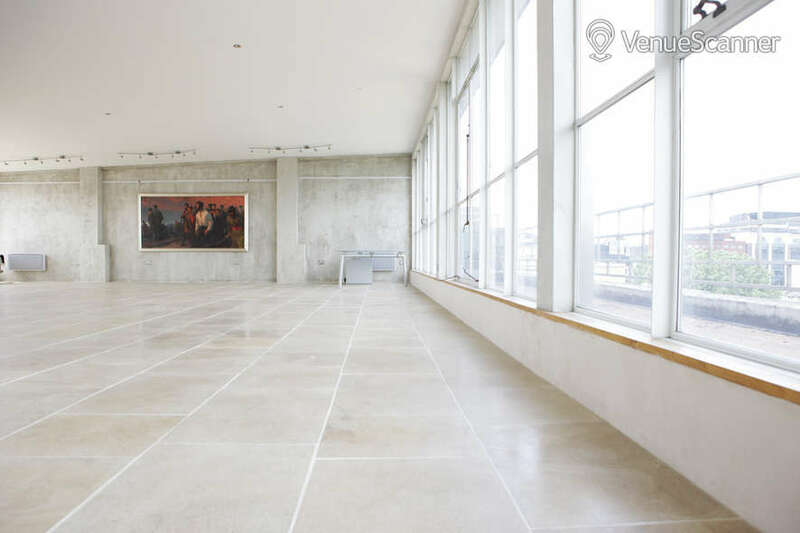 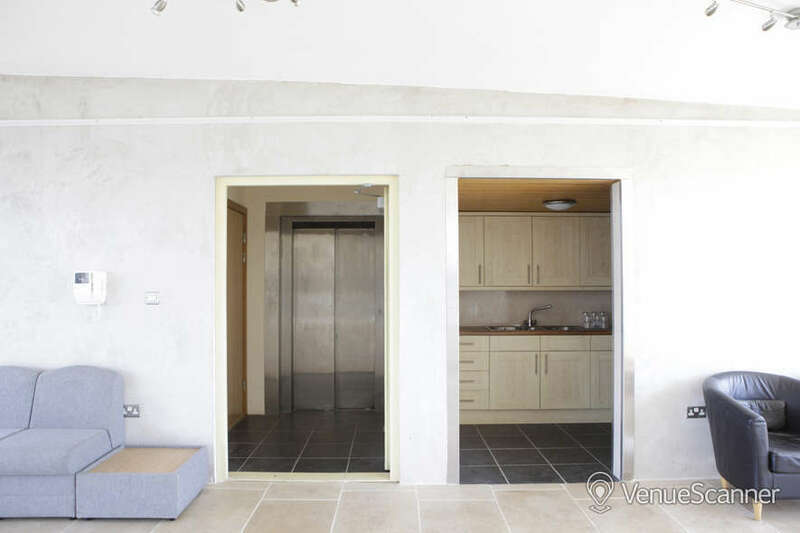 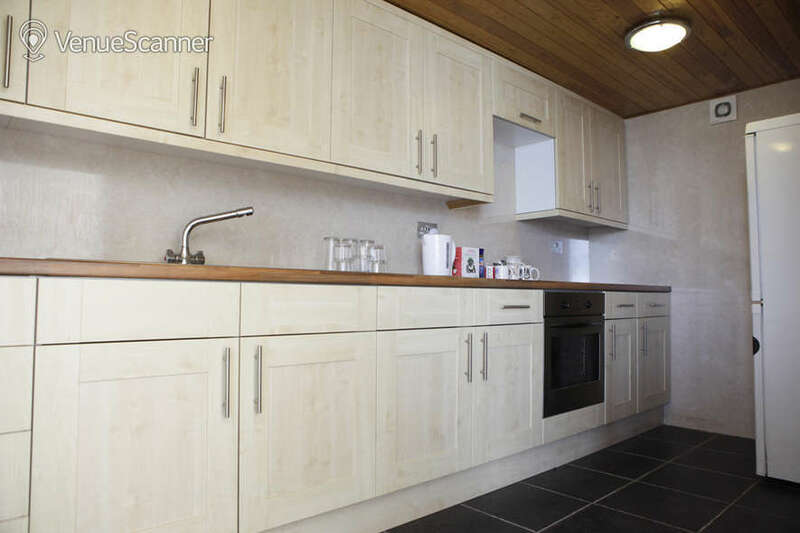 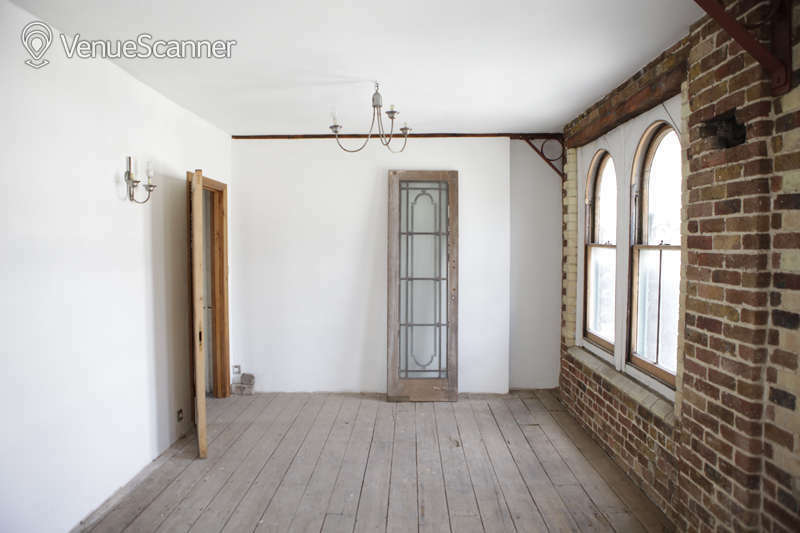 However, apart from avoiding the hefty price tag, there are occasions when hiring a blank canvas is the perfect solution. 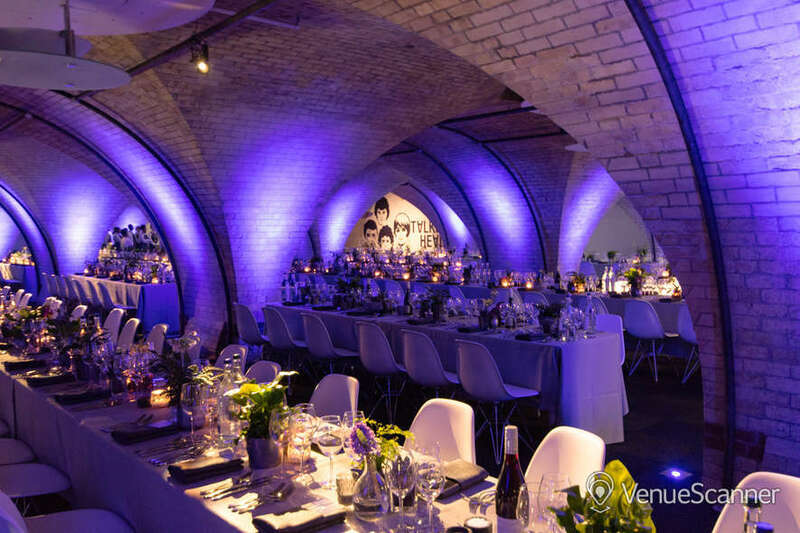 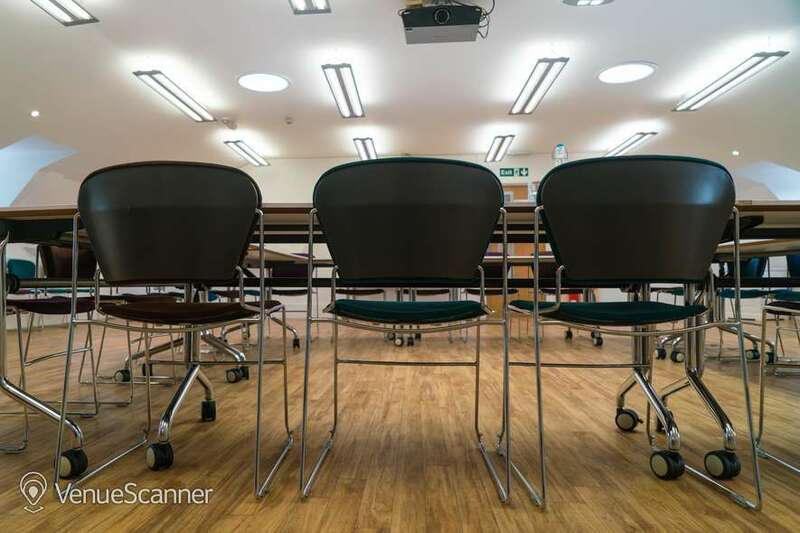 We’ve rounded up what we think are the top 5 advantages to dry hire so the next time you’re thinking about where to host your birthday or corporate event you may consider choosing a dry hire venue. 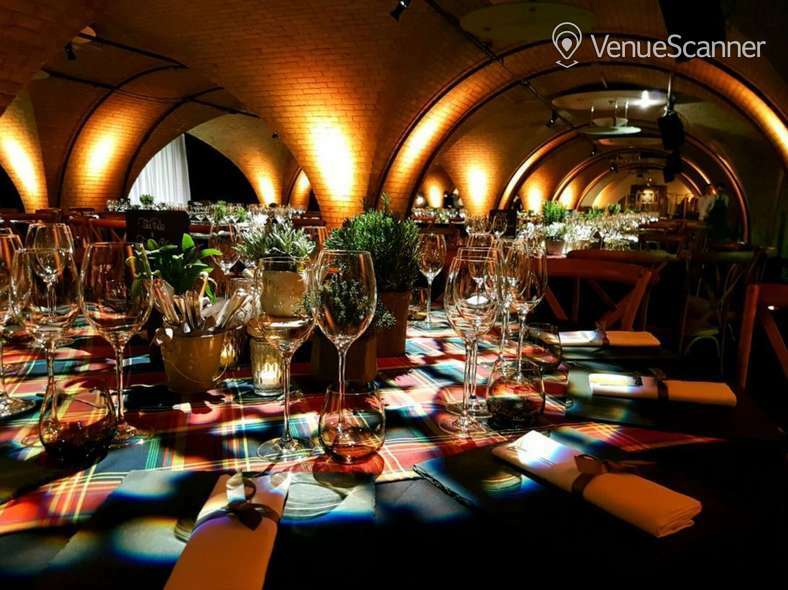 1) Gives you more control When you hire a dry venue - you’re in the driving seat. 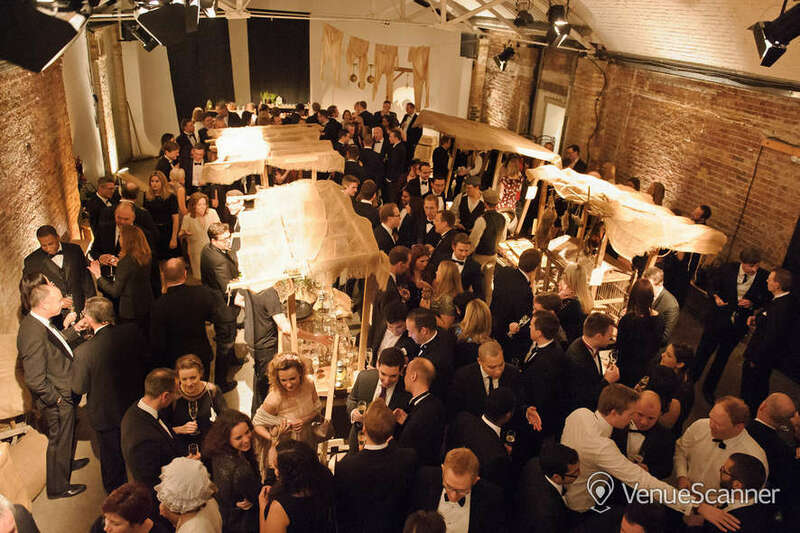 You get to decide on the look and feel of the event as well as how you want it to run. 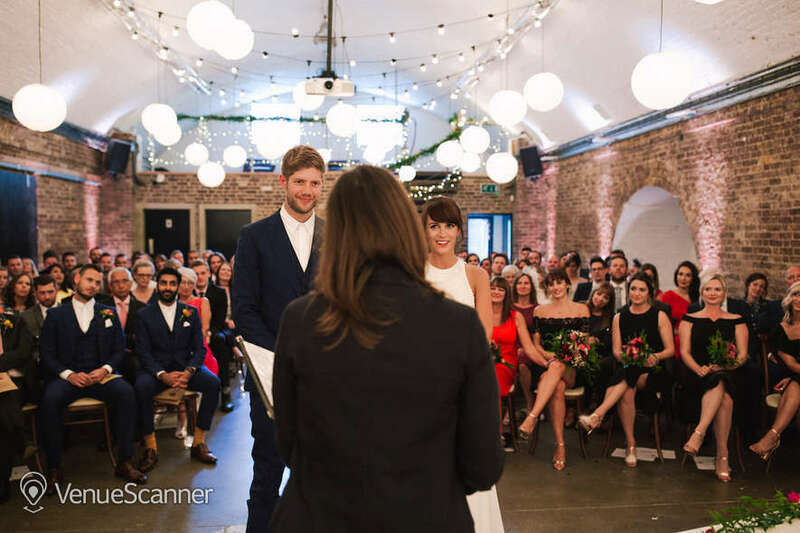 But don’t worry, just because you’ve opted for just space, doesn’t mean there won’t be onsite staff to assist before, during and after your event. 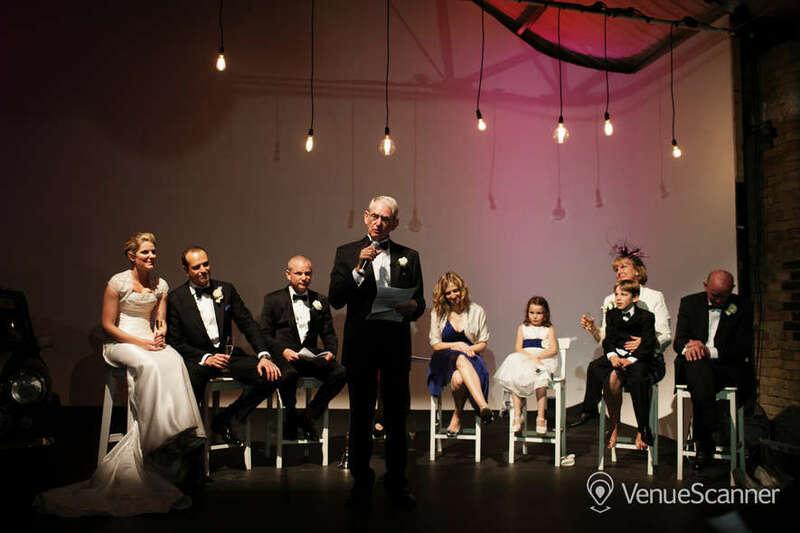 2) Gives you more flexibility Dry hire venues are a great option for when you want to host a truly personalized event, like a wedding for example. 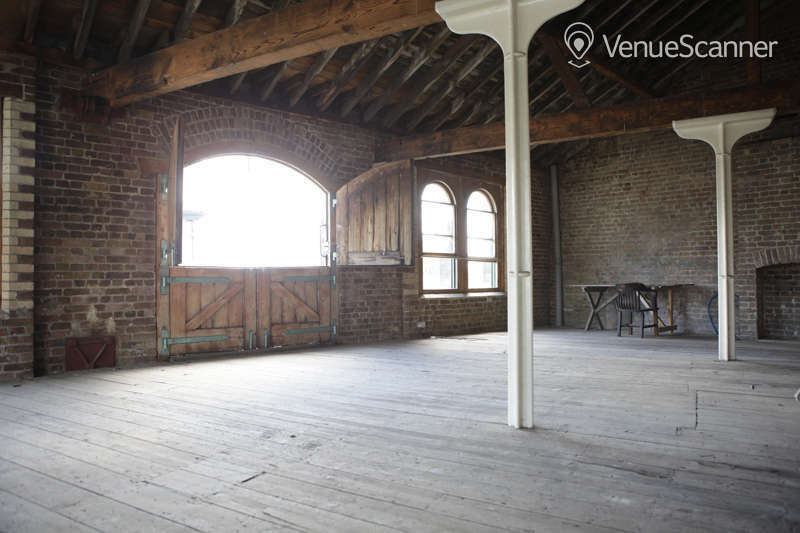 Hiring a blank canvas gives event organizers greater ability to tailor the event depending on needs and desires. 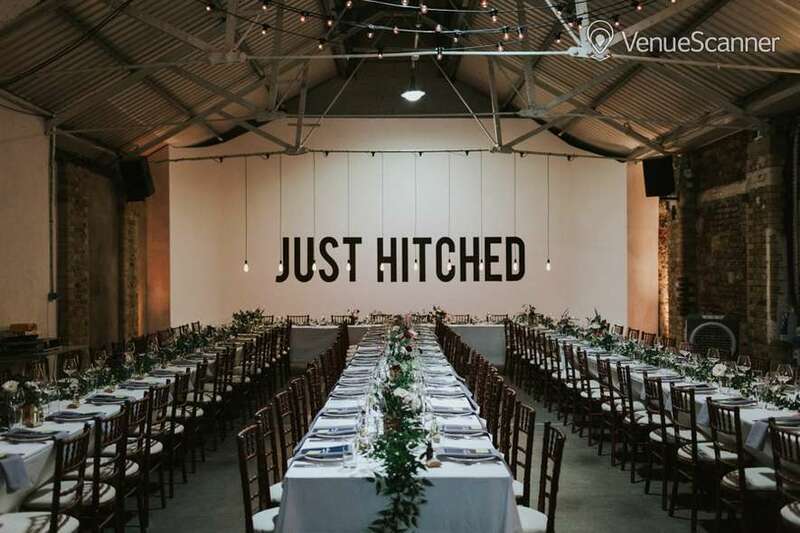 If you and your husband-to-be met had your first date at a local Italian restaurant, why not hire them as caterers for your reception! 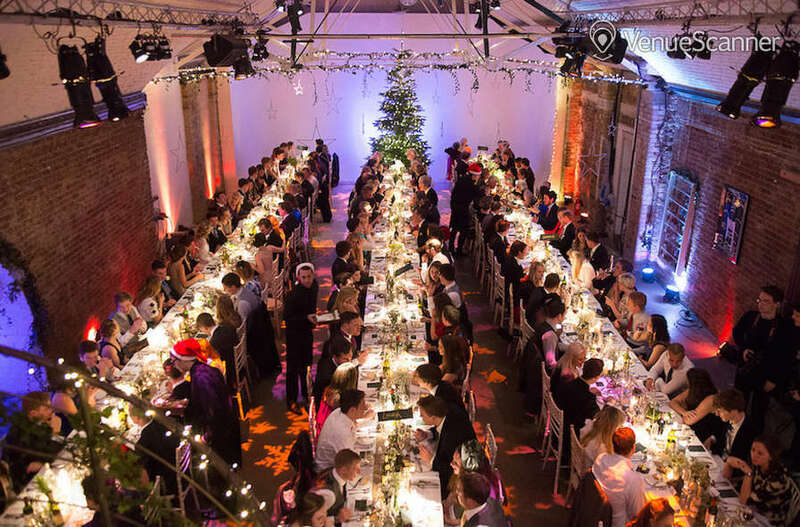 3) Offers a greater choice of suppliers Despite most venues now offering a variety of hospitality packages, sometimes you just want to be able to source the catering services yourself. 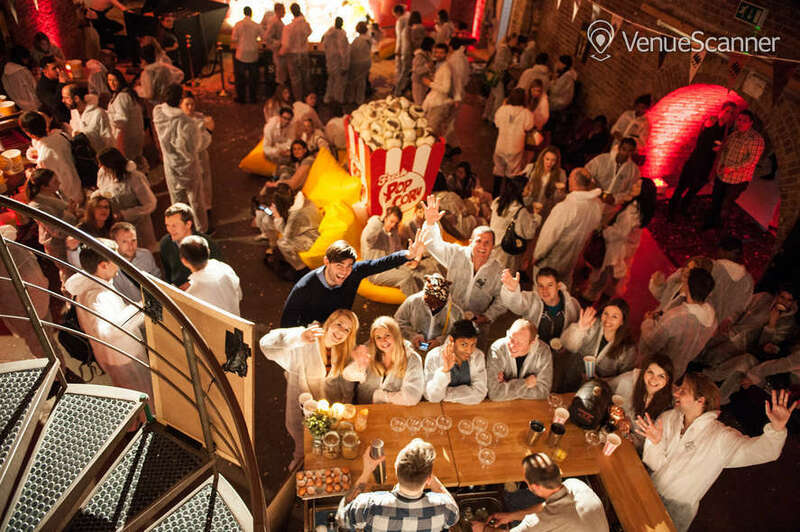 You may have worked with a brilliant company for years or have a best friend who is a chef and just starting out. 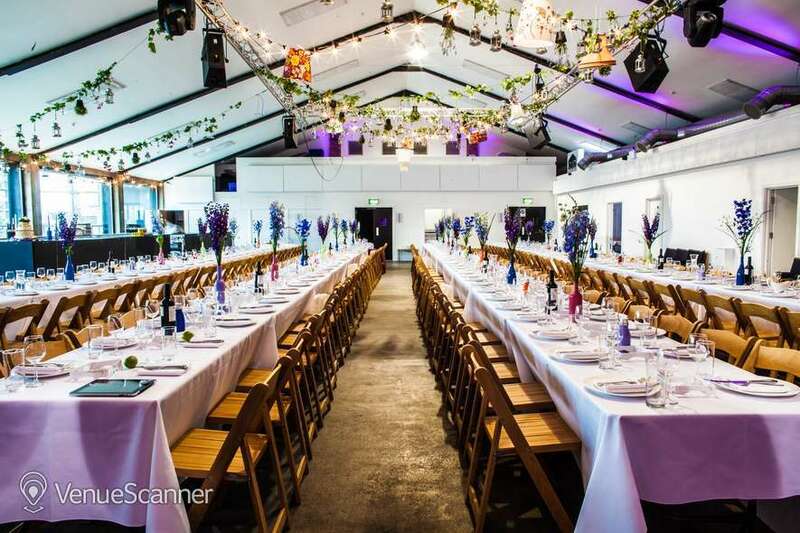 Whatever the reason when you opt for a dry hire venue, you can choose who provides the catering for your event - if catering is even needed at all. 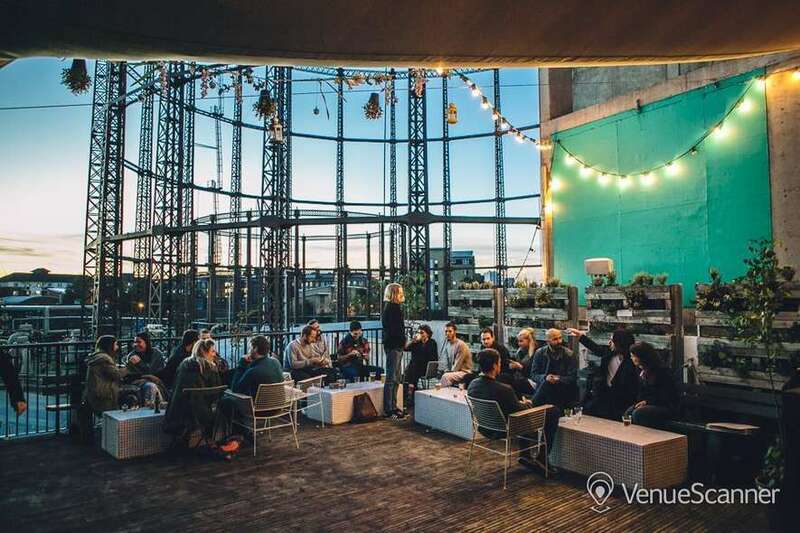 4) It can cost you less A real bonus of a dry venue hire is that costs are often reduced as you’re simply paying for the venue. 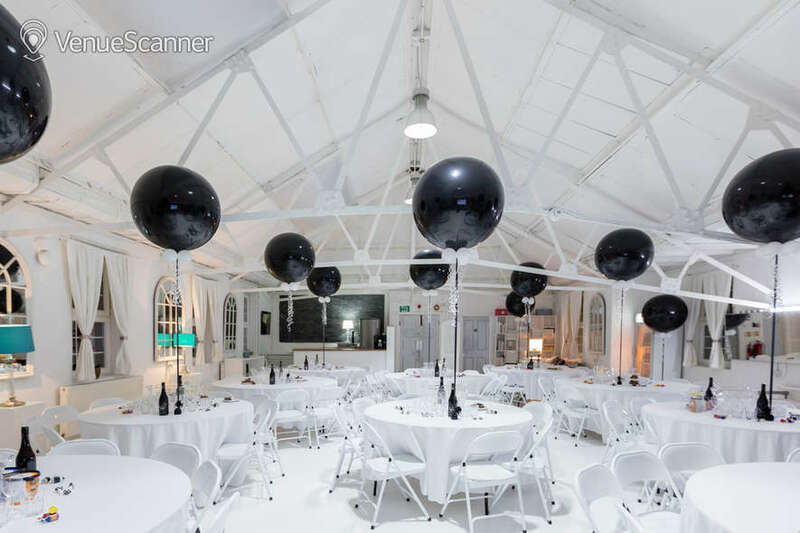 Not having catering reduces the overheads. 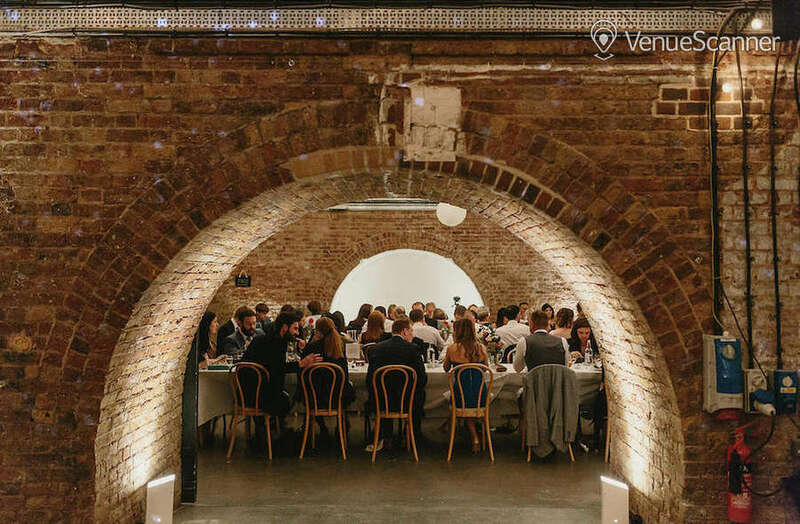 This is a great option if you have a team who are able to cover certain duties themselves, or when the event does not require much catering. 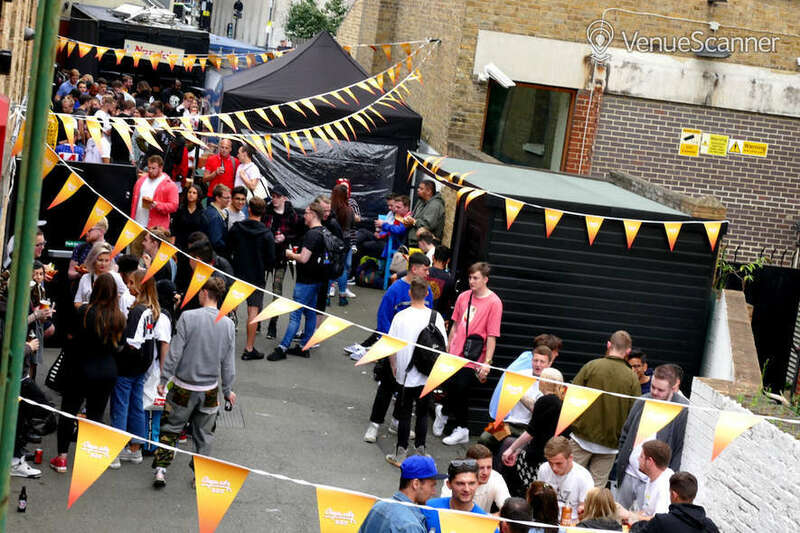 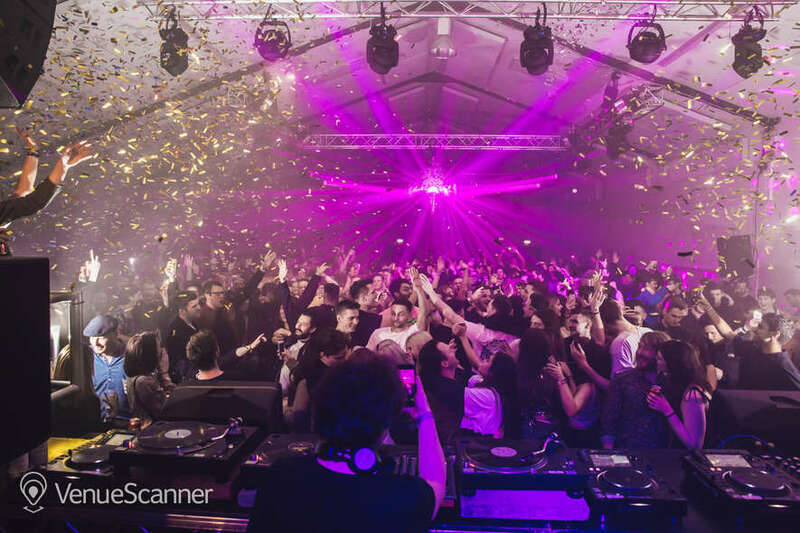 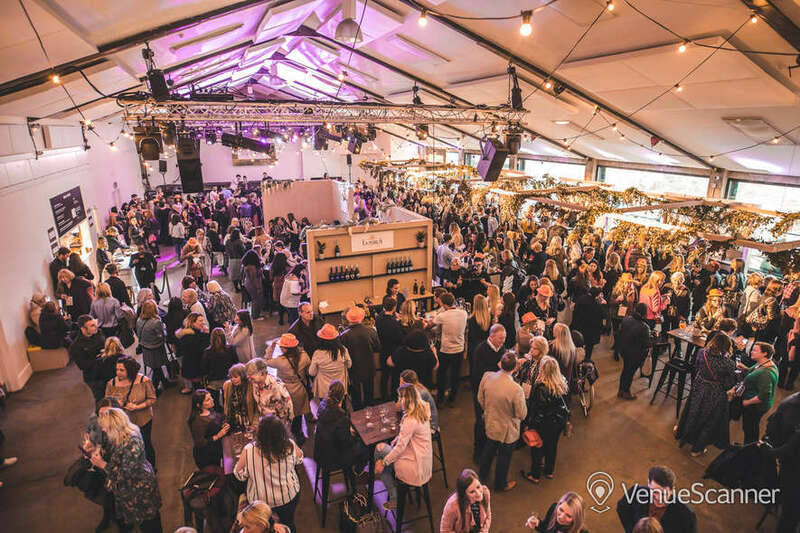 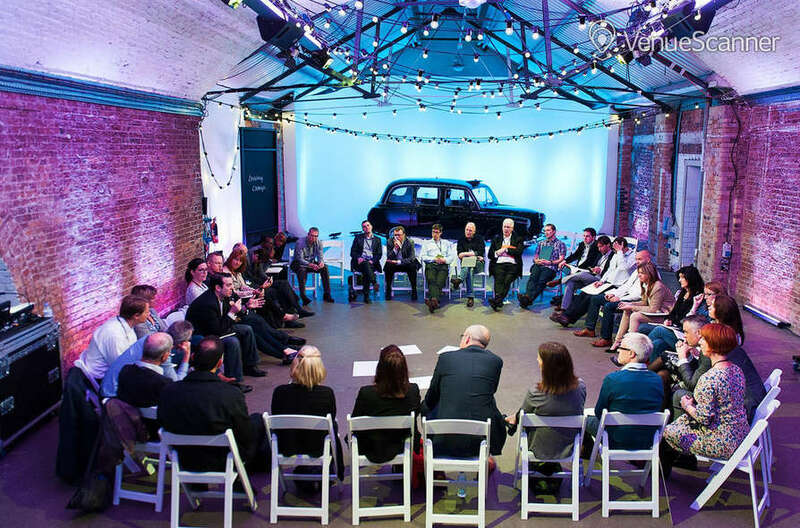 5) Guaranteed uniqueness No two events will ever be the same as a dry hire venue so if it’s originality that you’re after than a dry hire space is the best option. 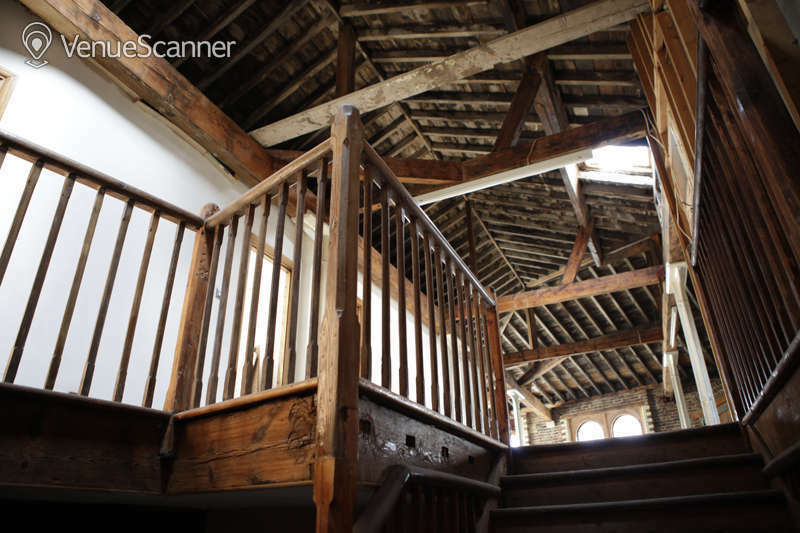 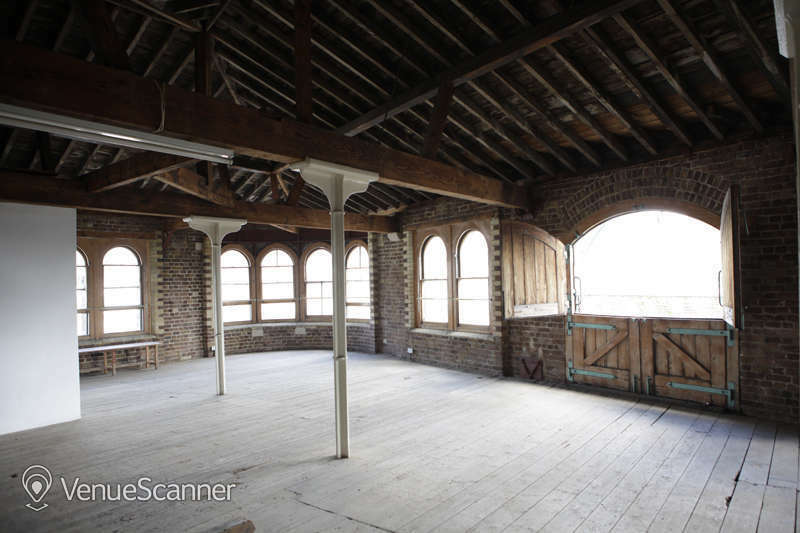 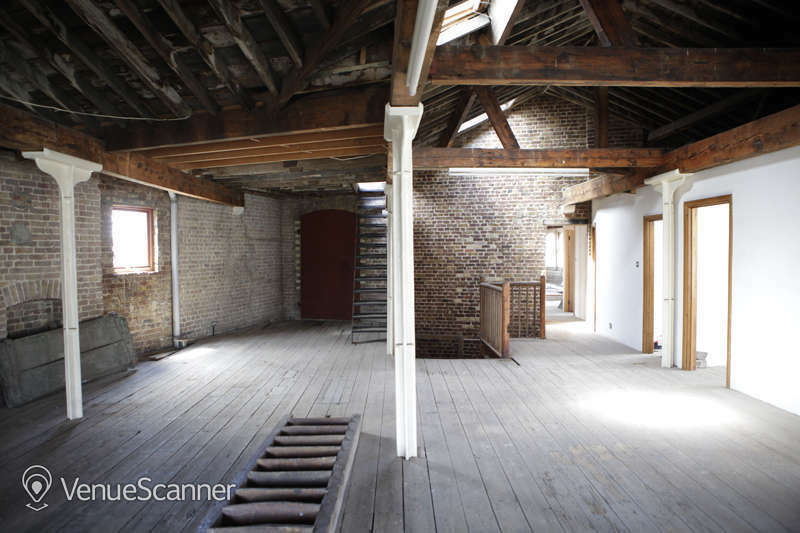 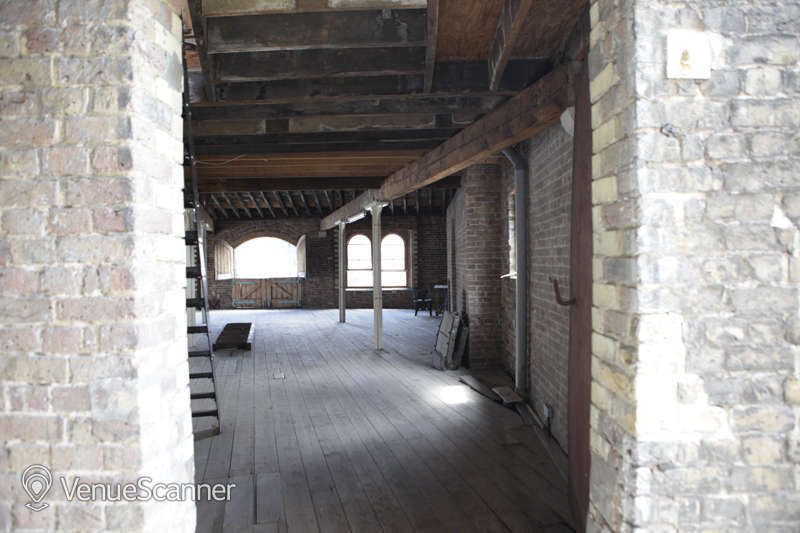 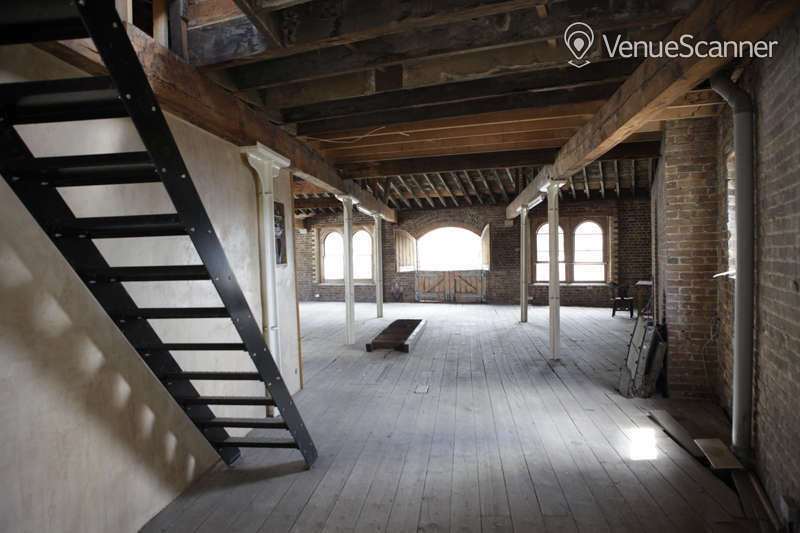 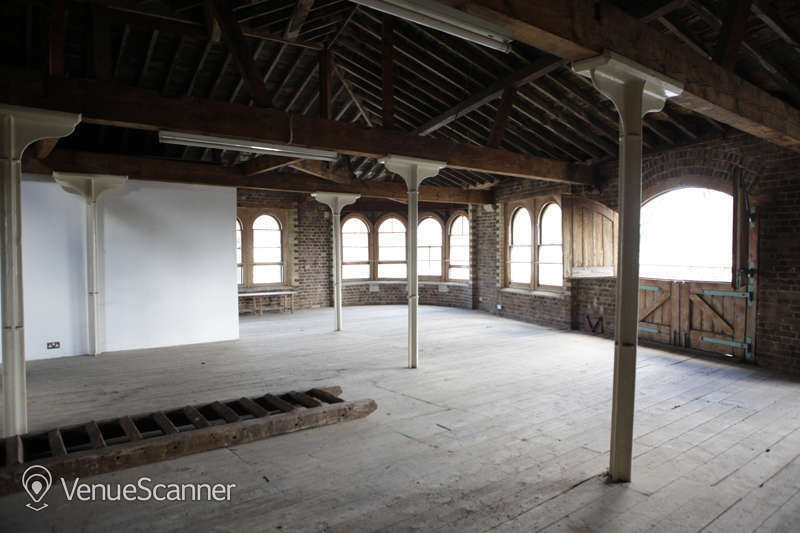 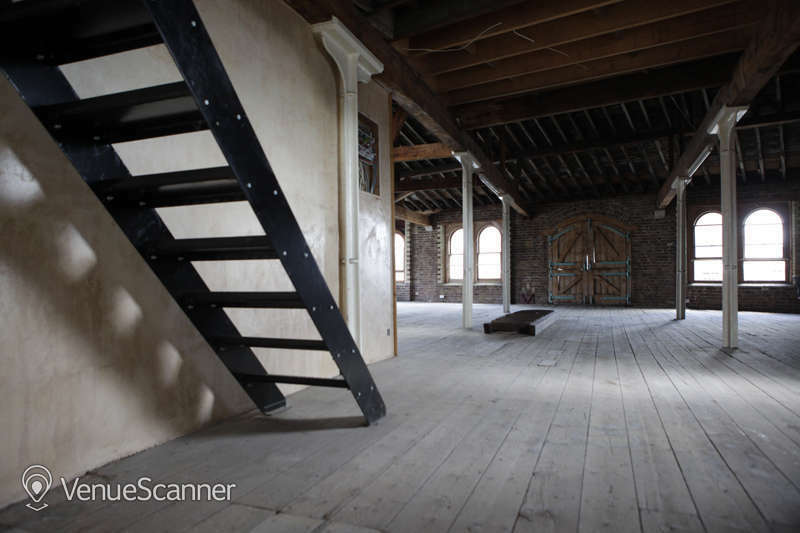 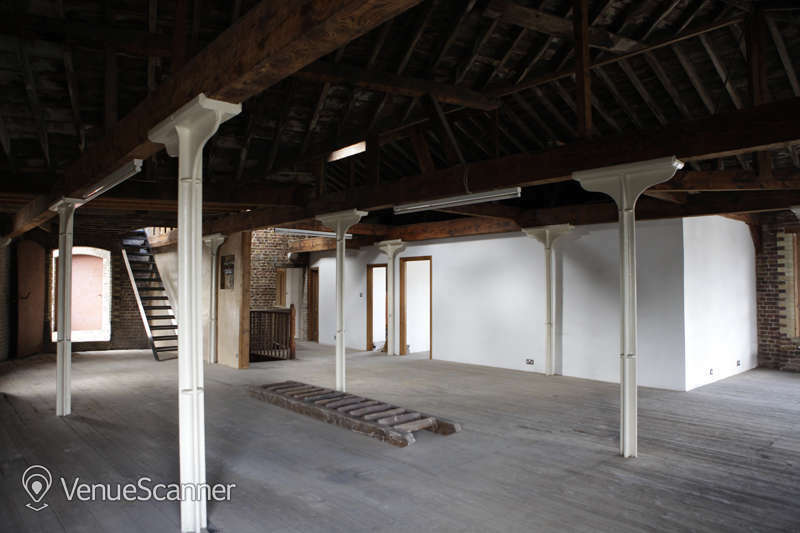 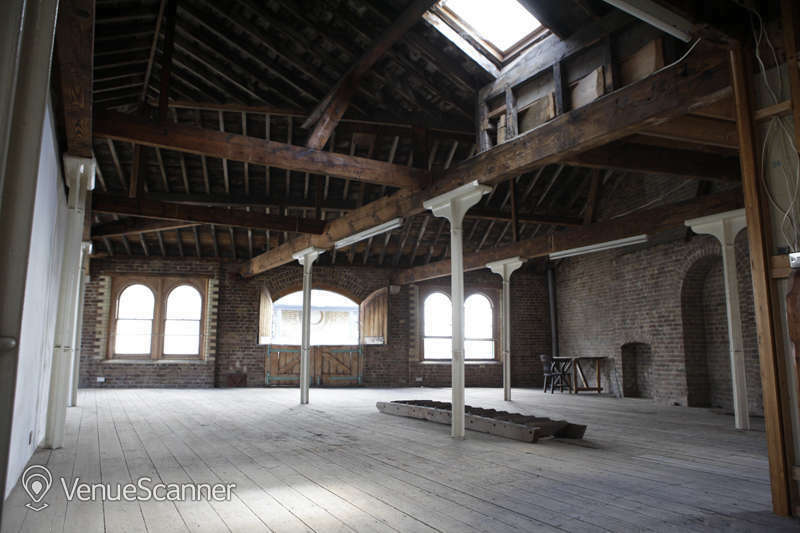 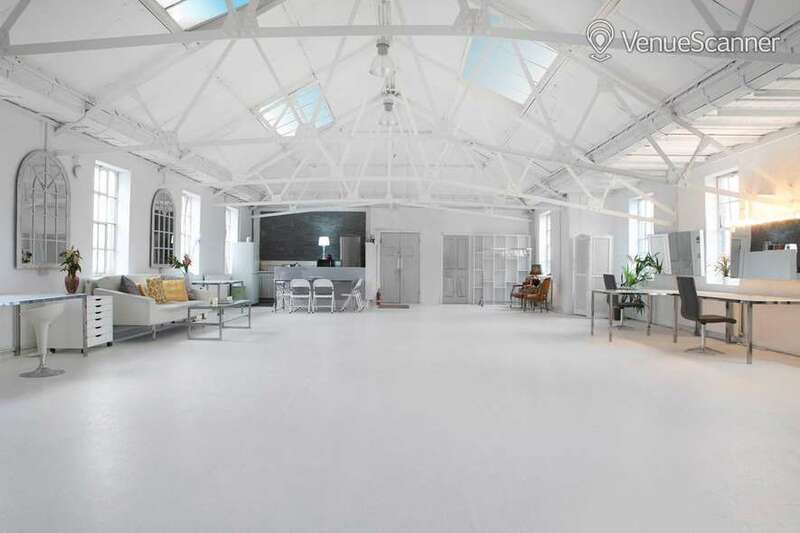 If it’s an inspiring industrial space you’re after then look no further than this large centrally located attic. 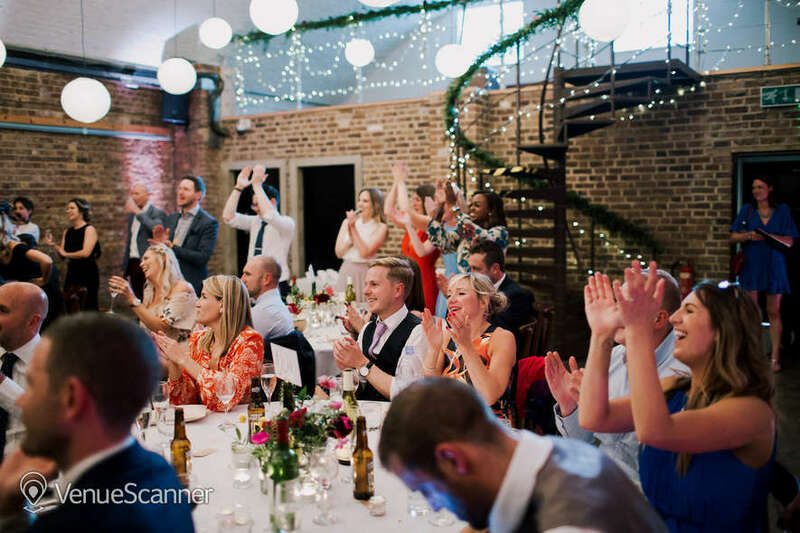 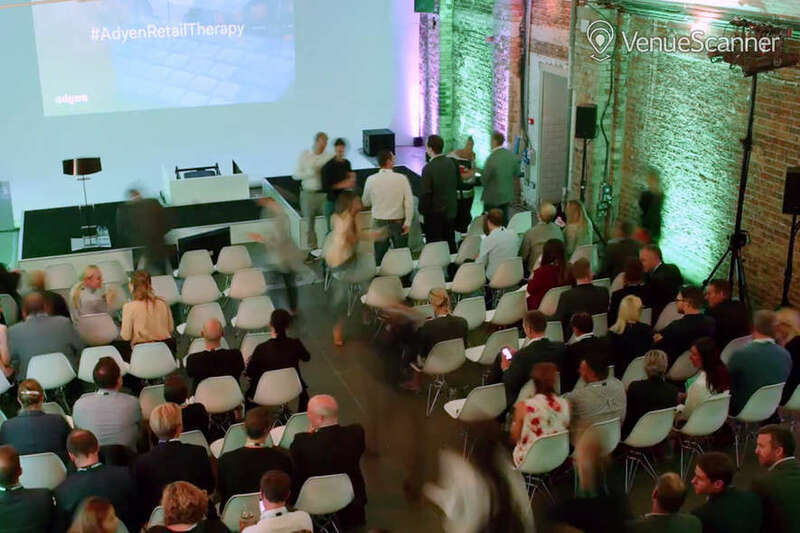 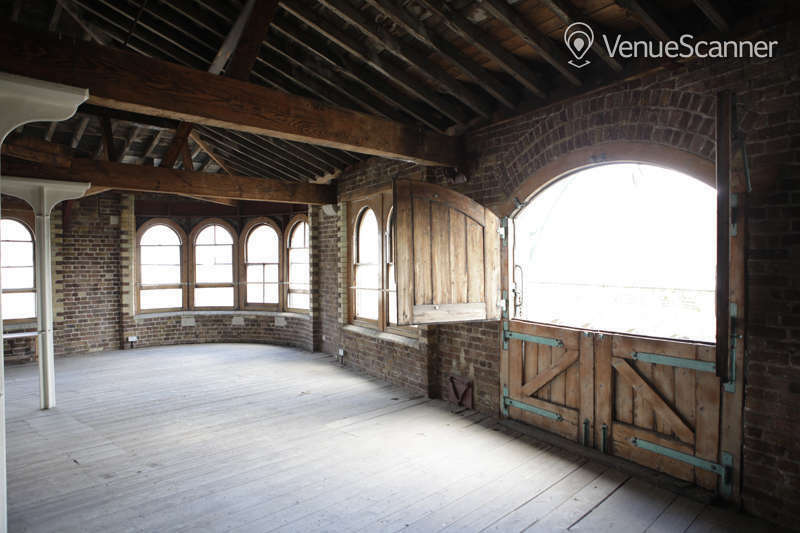 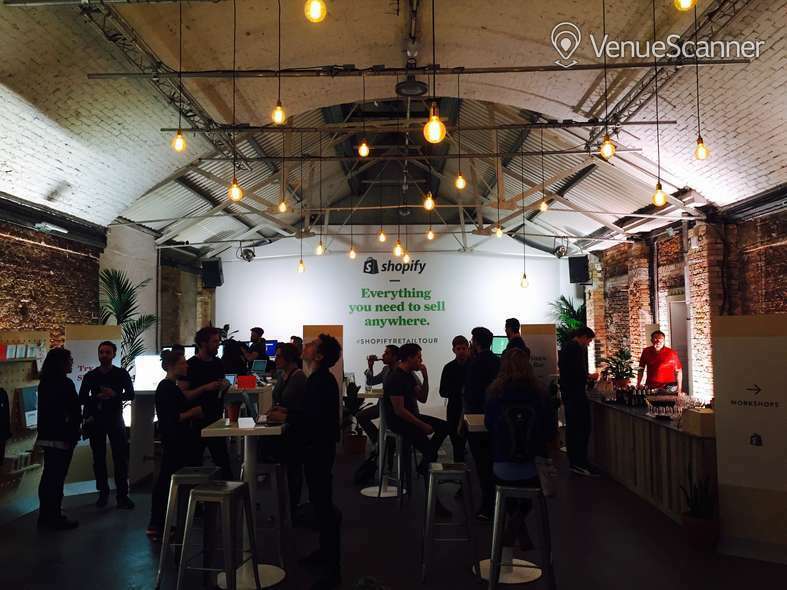 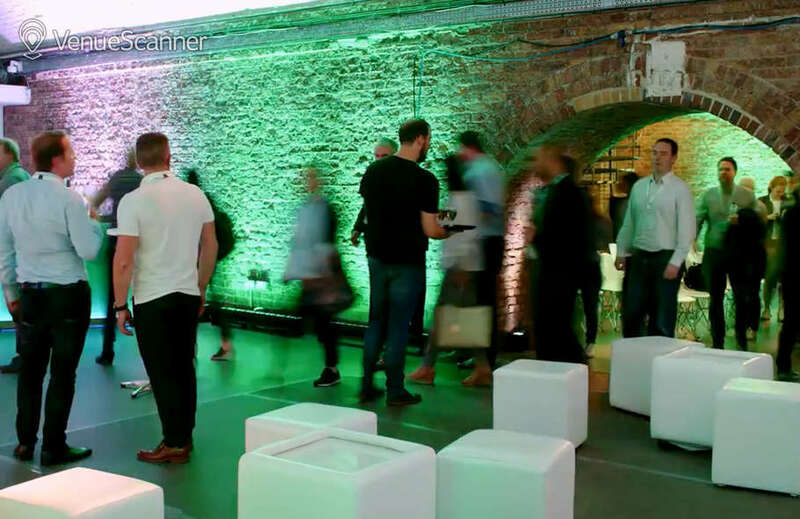 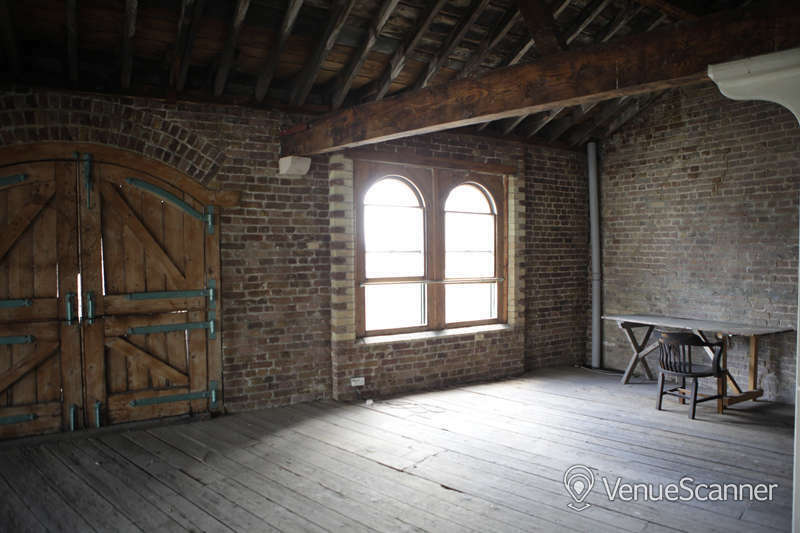 High ceilings, wooden beams, brick walls and scrubbed wooden floors make this venue the perfect backdrop for a range of diverse events. 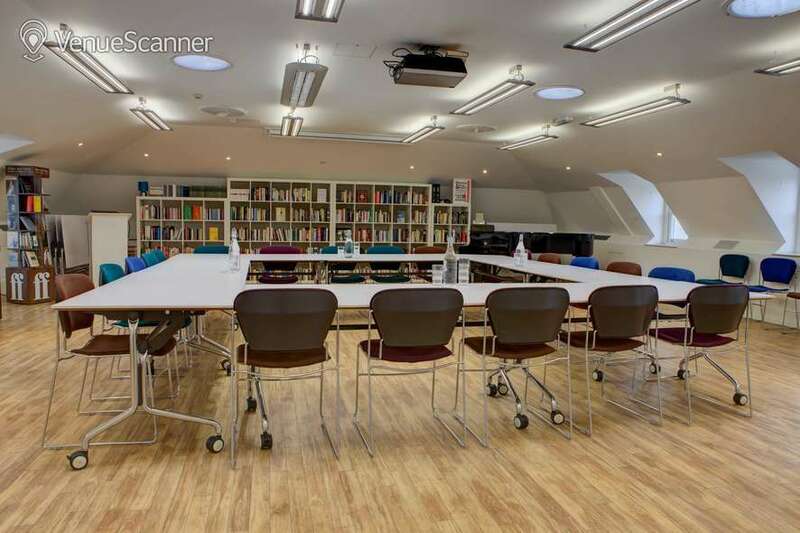 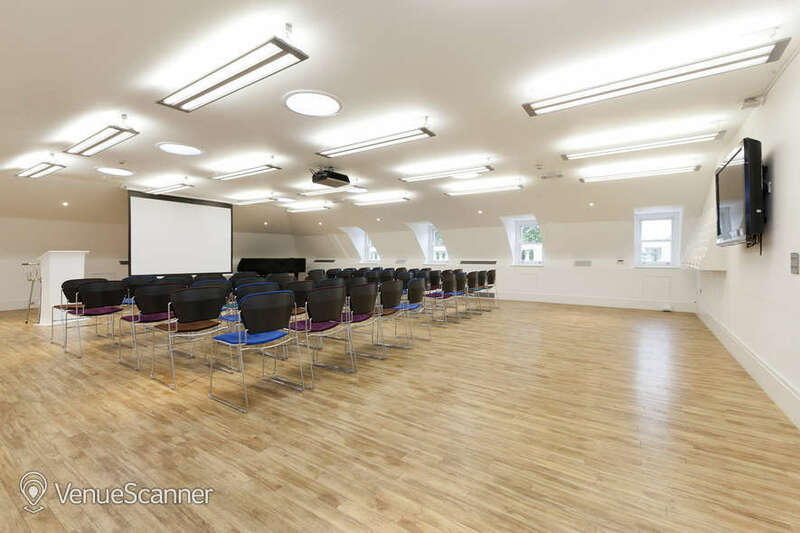 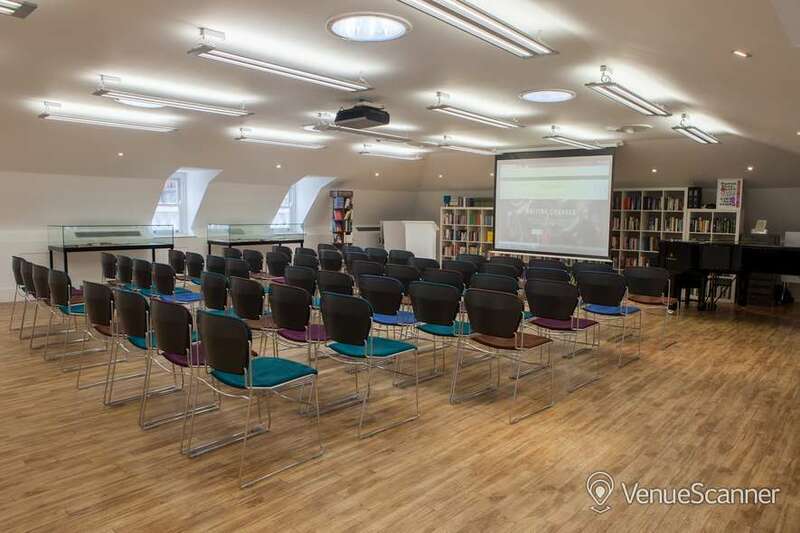 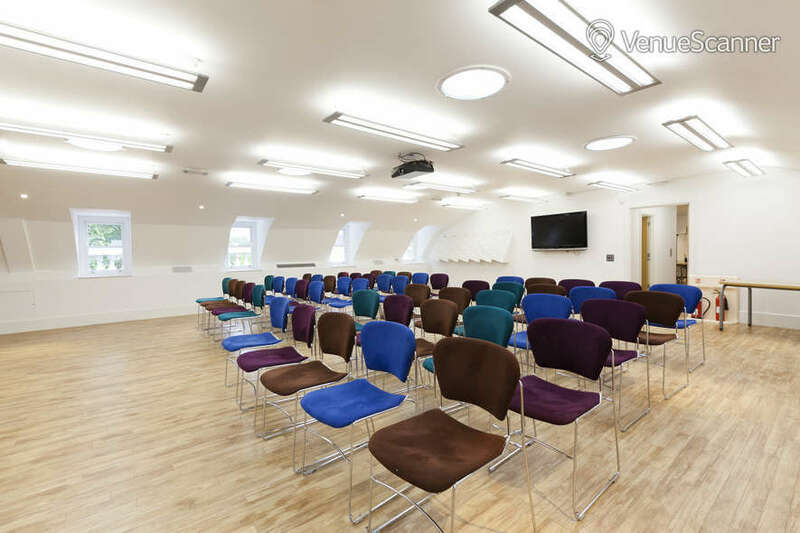 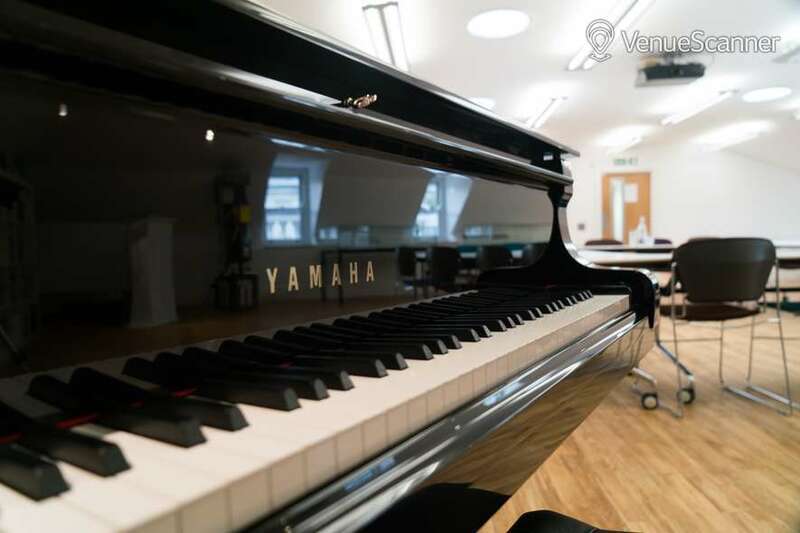 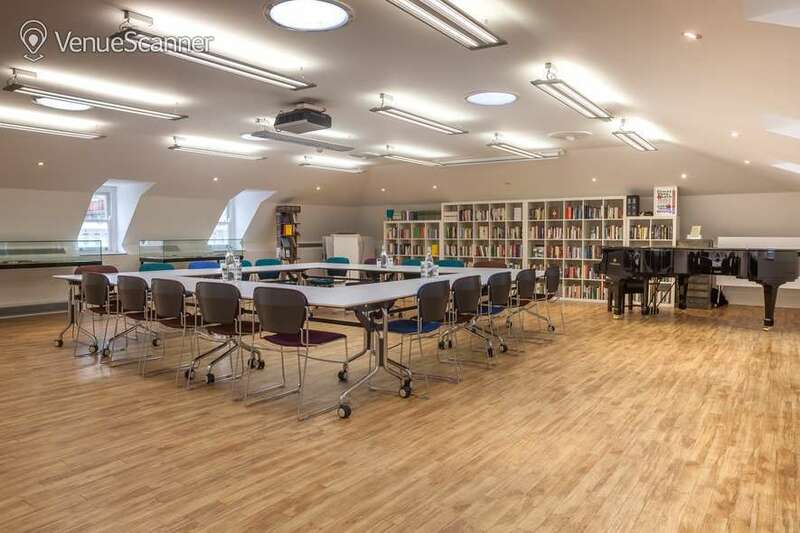 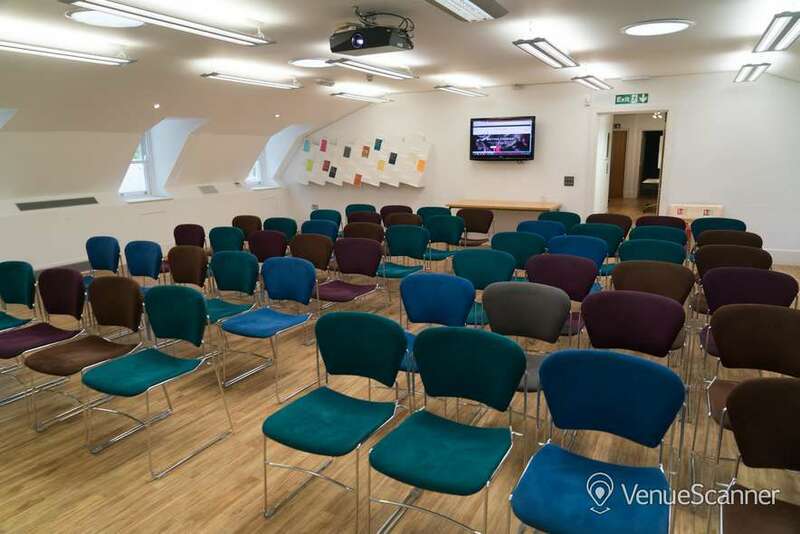 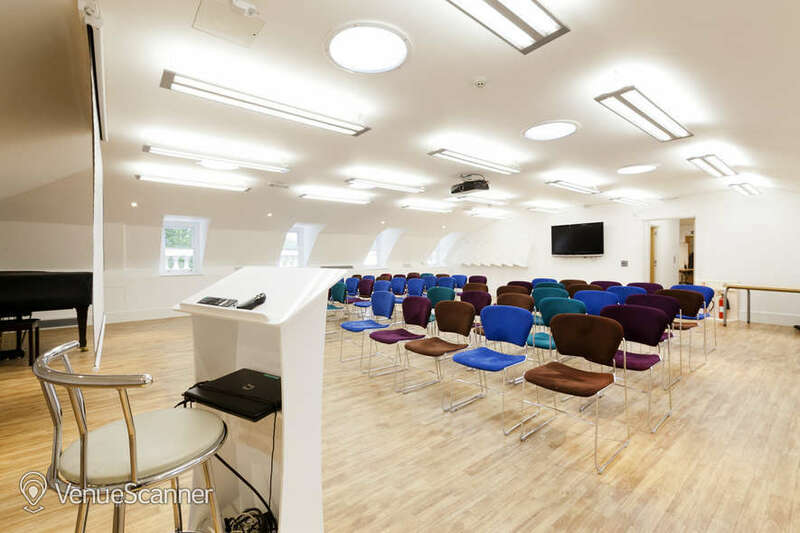 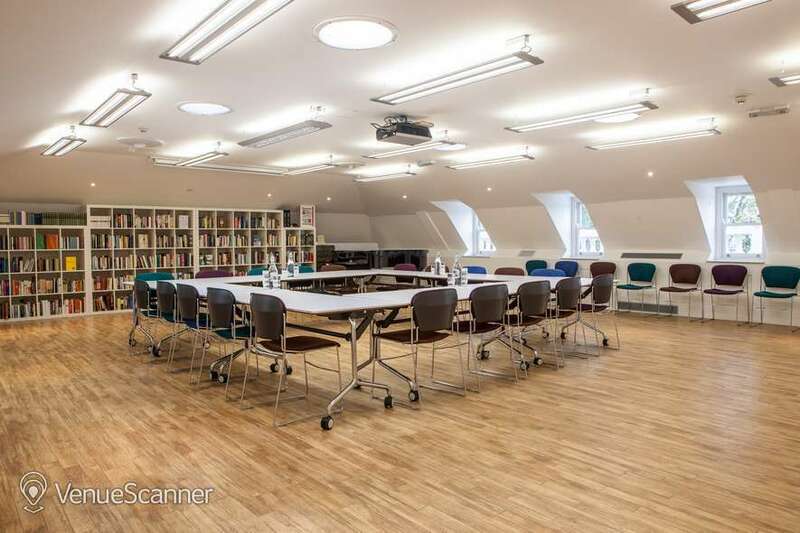 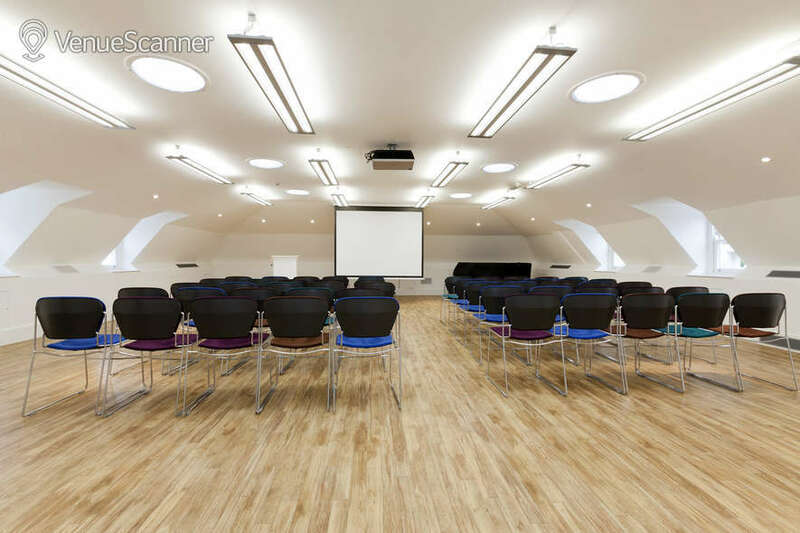 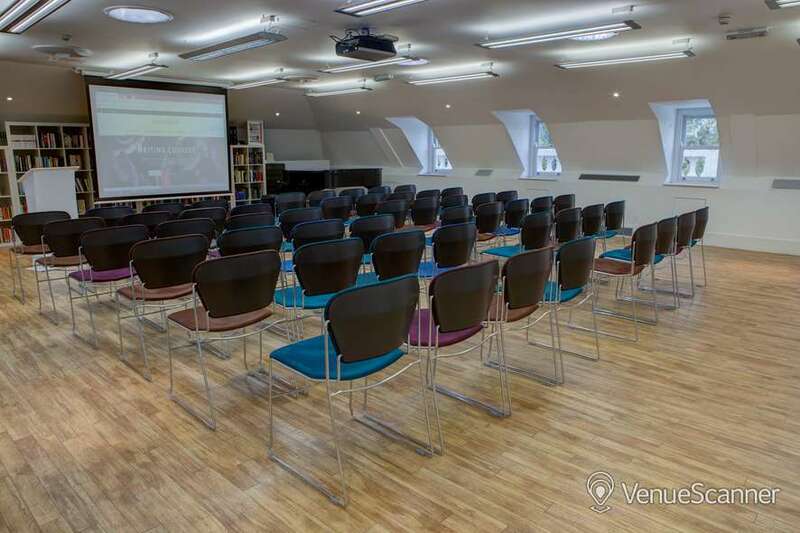 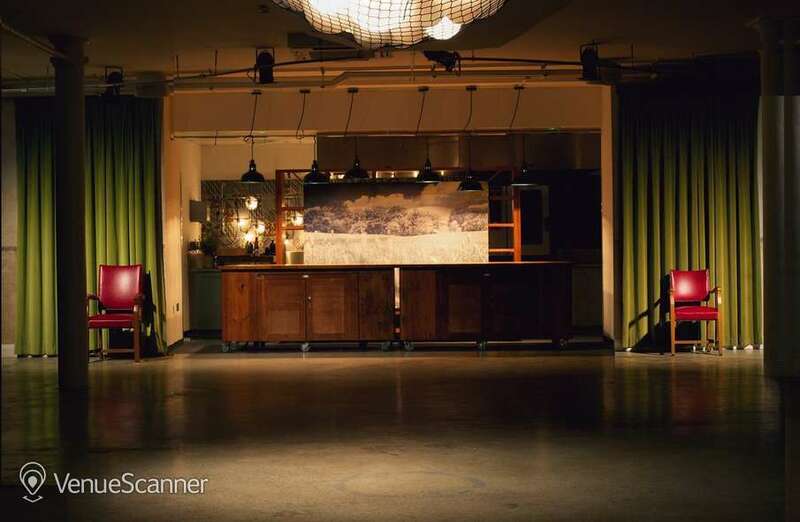 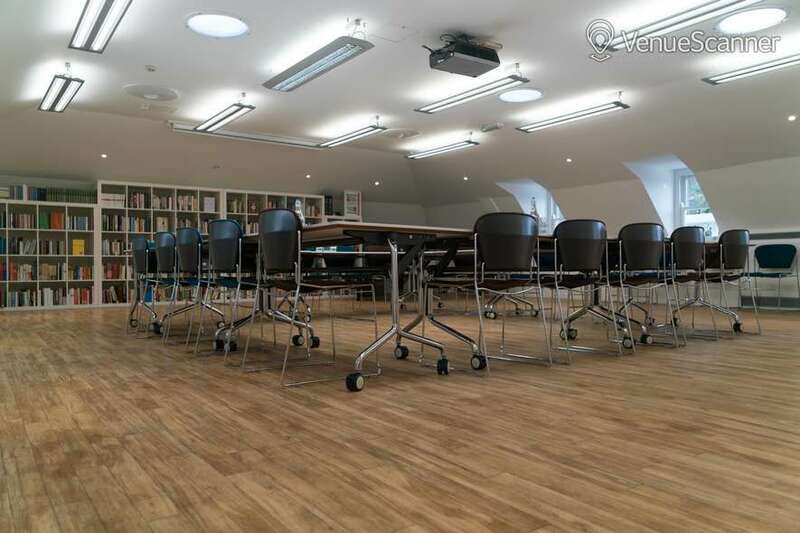 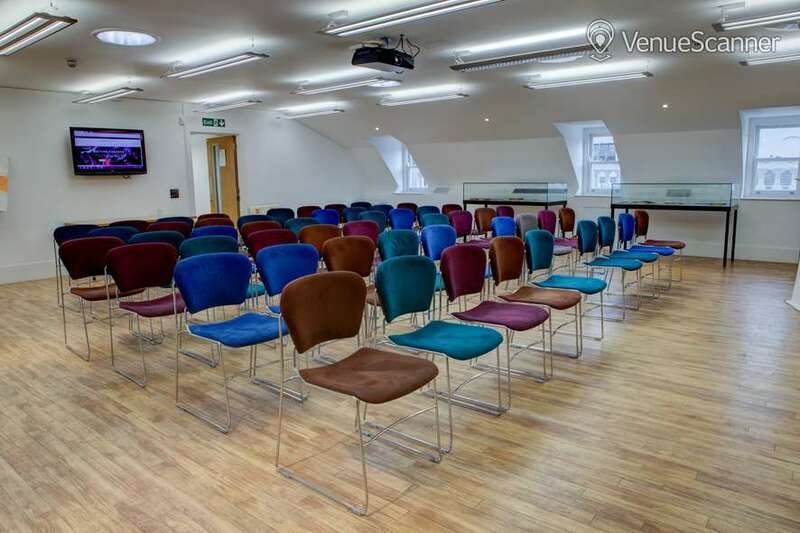 One of the most versatile spaces in London, this place can comfortably cater for events of up to 450 people. 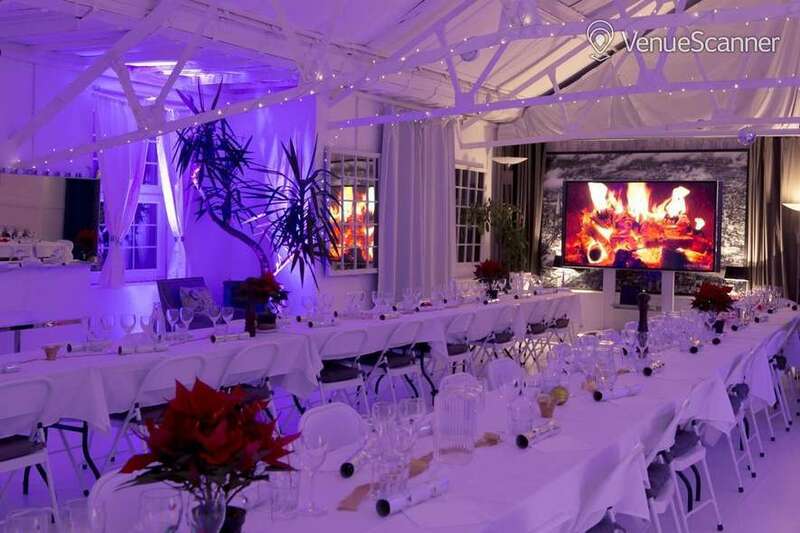 Kitted out with a bar, open kitchen and the latest AV equipment, this space is an ideal venue for events that what have flare. 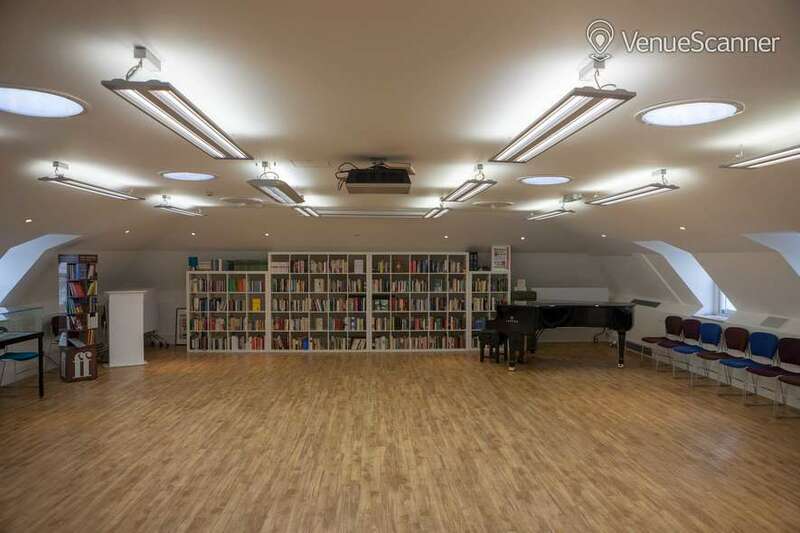 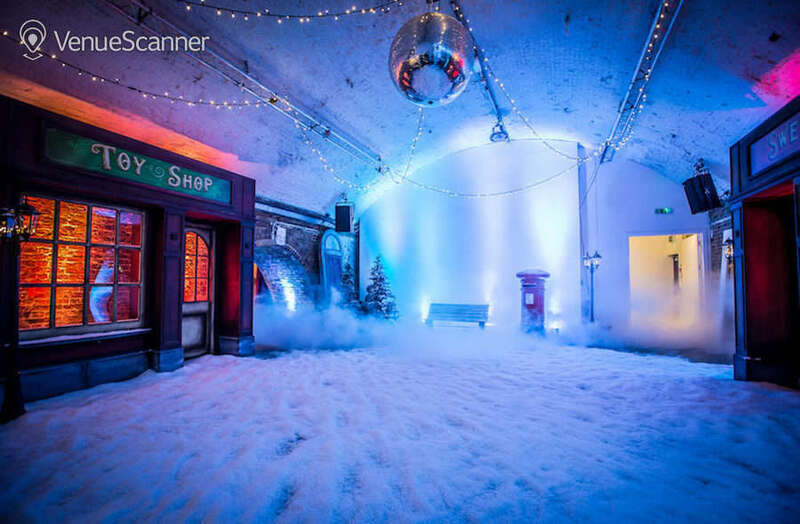 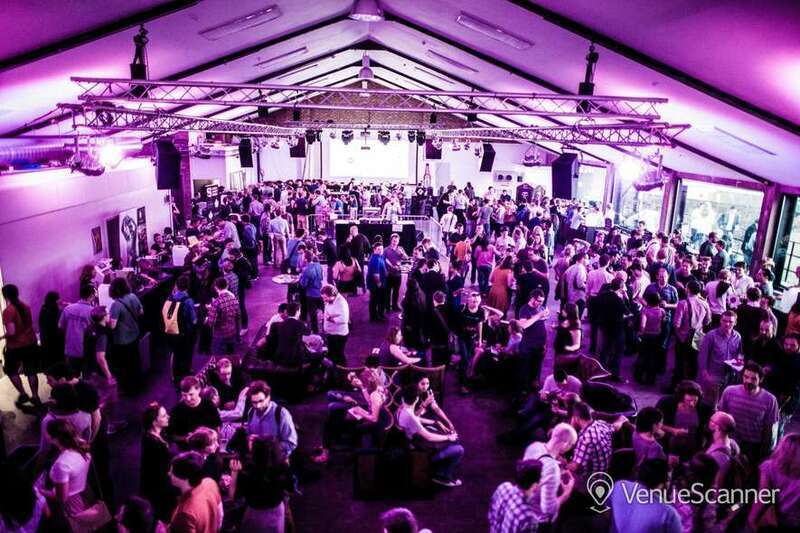 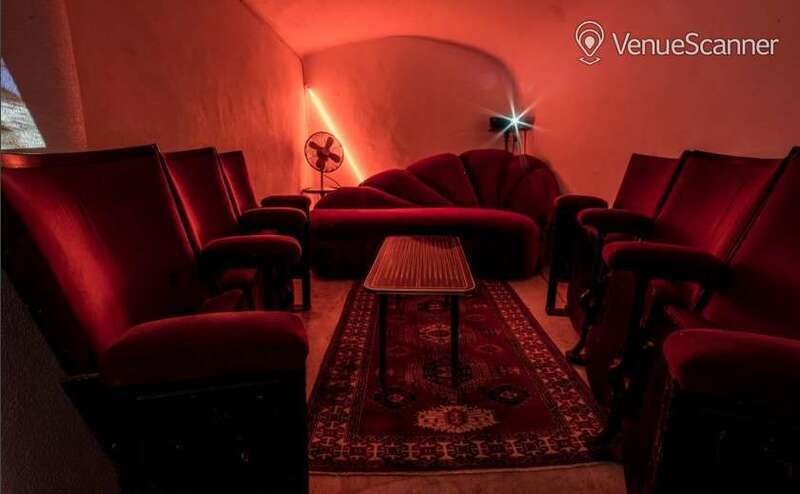 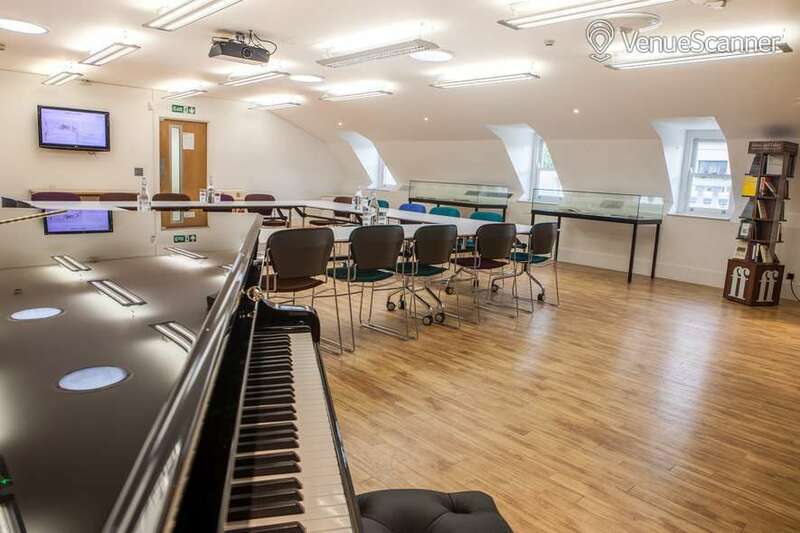 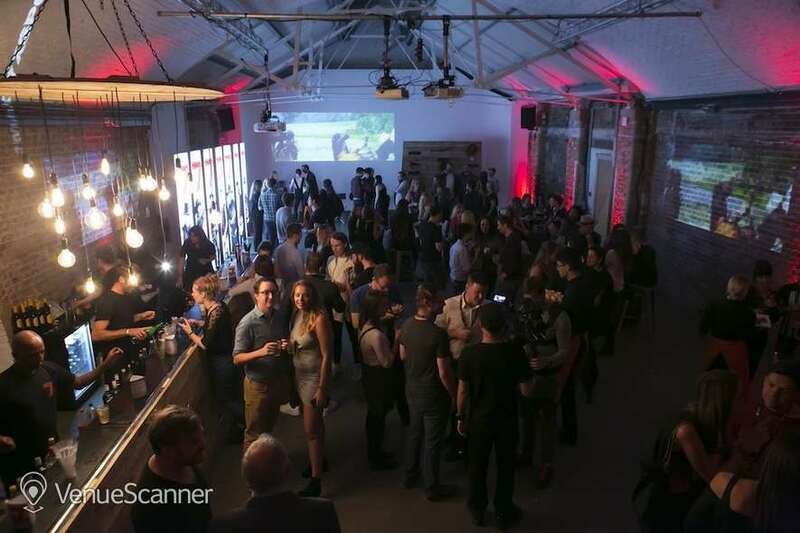 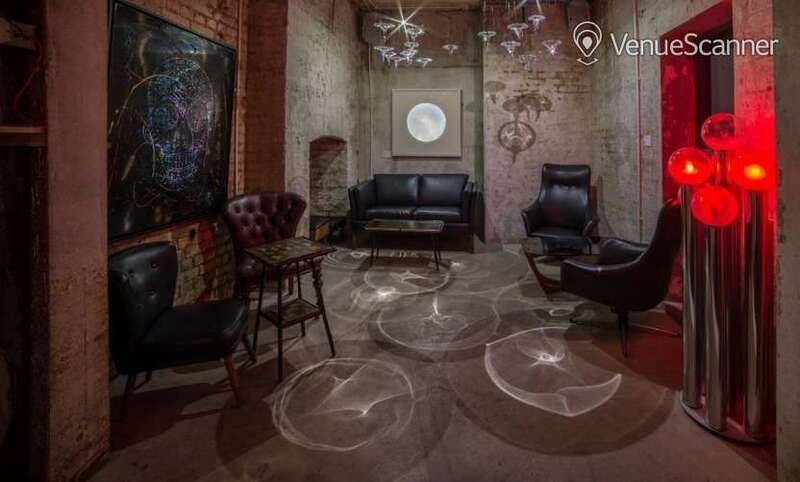 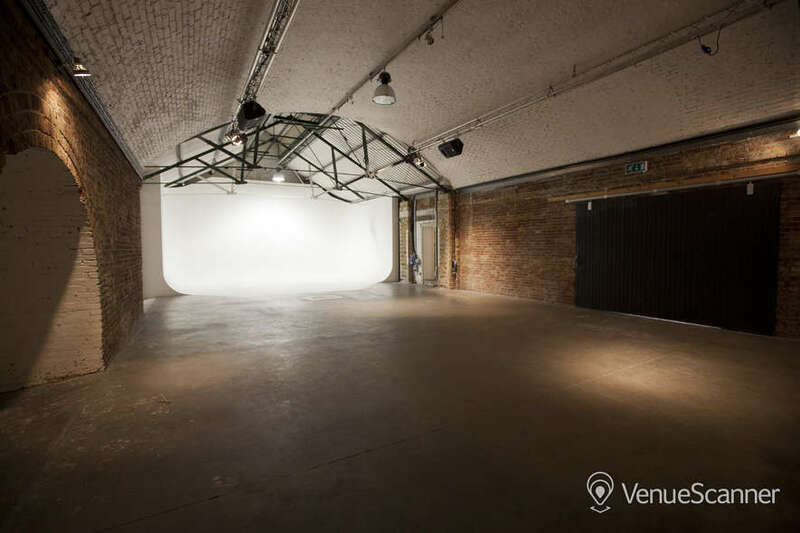 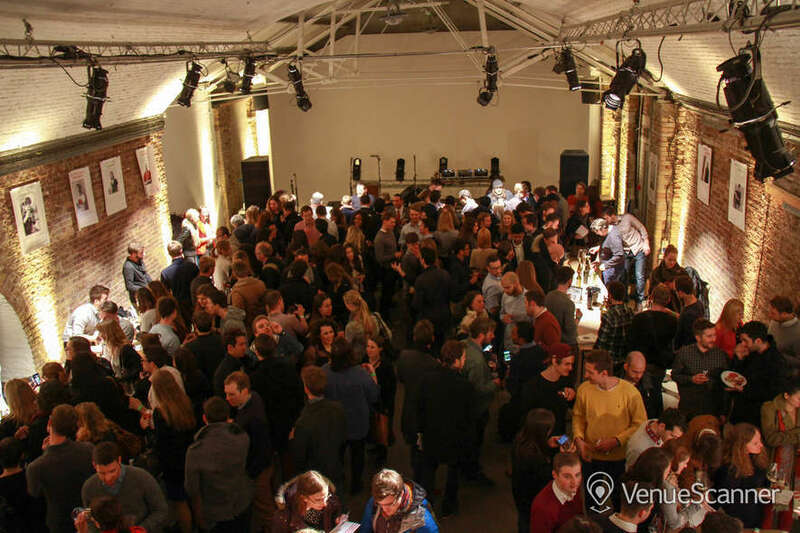 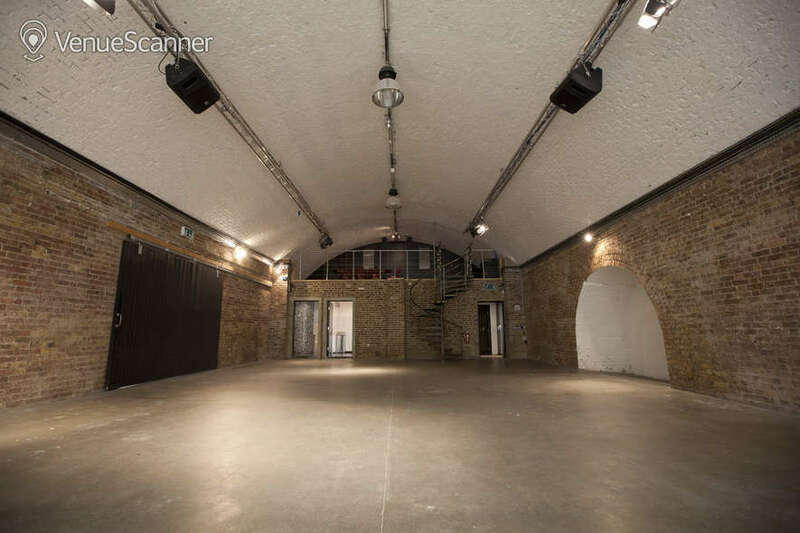 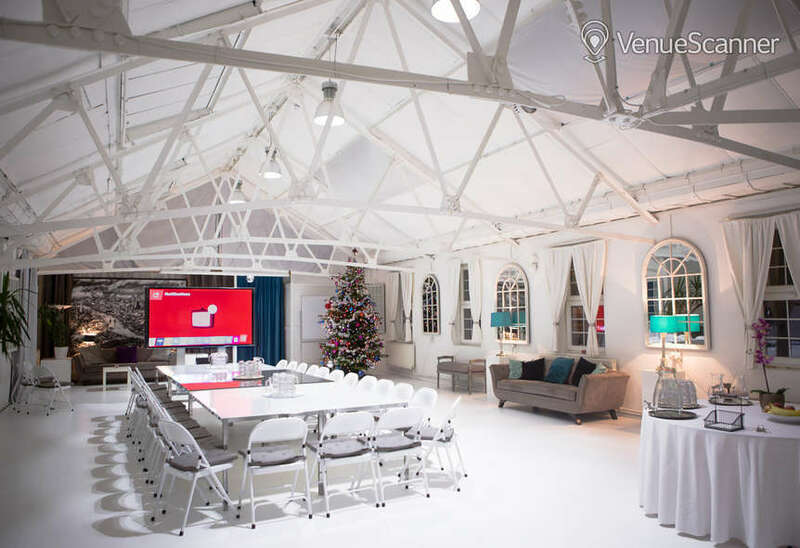 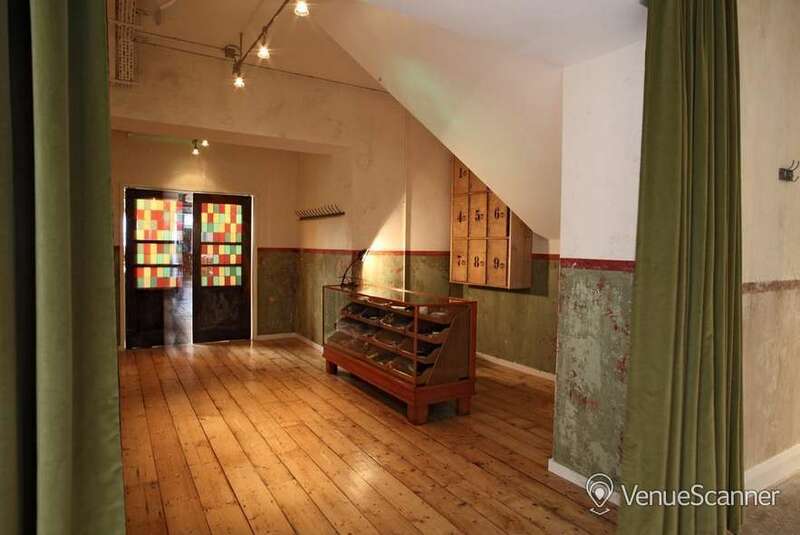 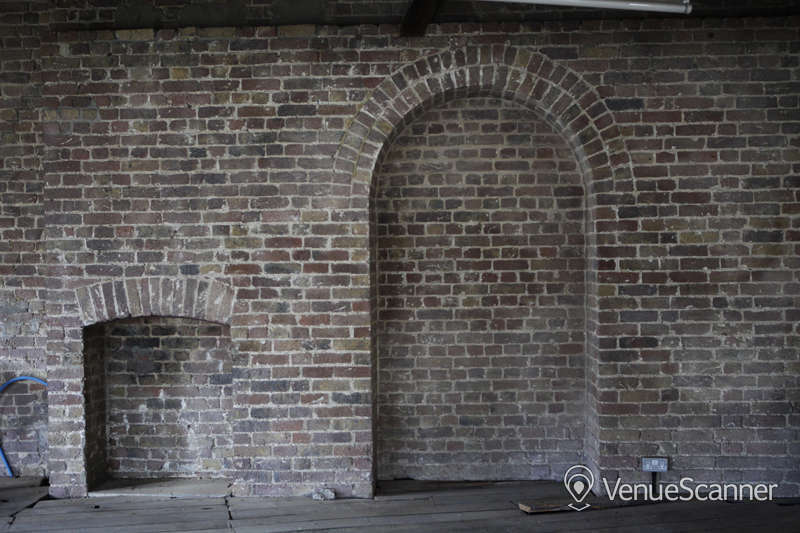 The Vault is an atmospheric split level basement which provides a creative blank canvas for a range of events. 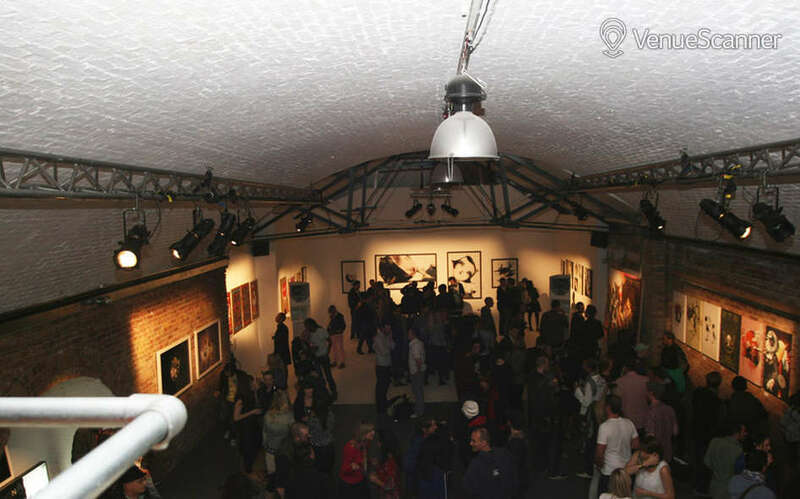 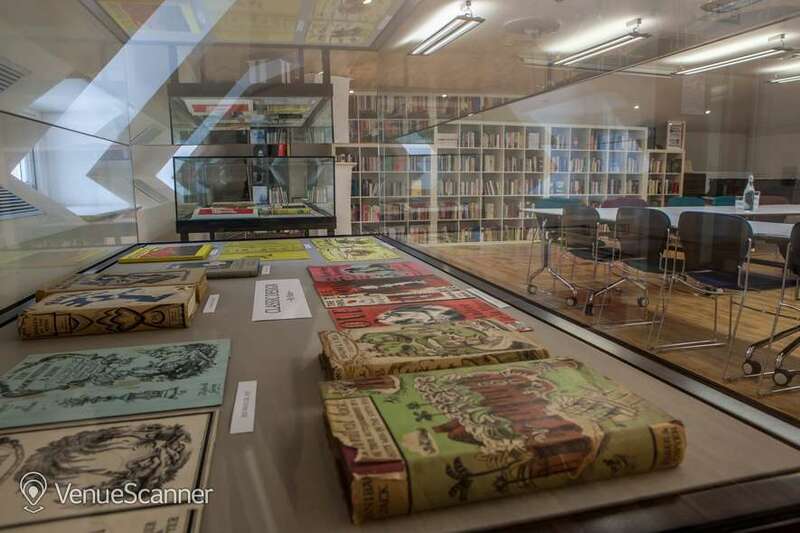 So diverse is this space, The Vault has played host to everything from parties to product launches. 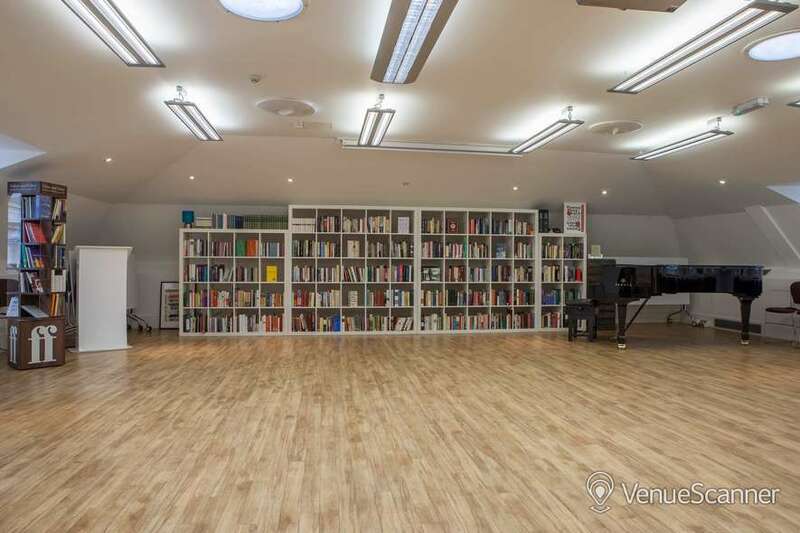 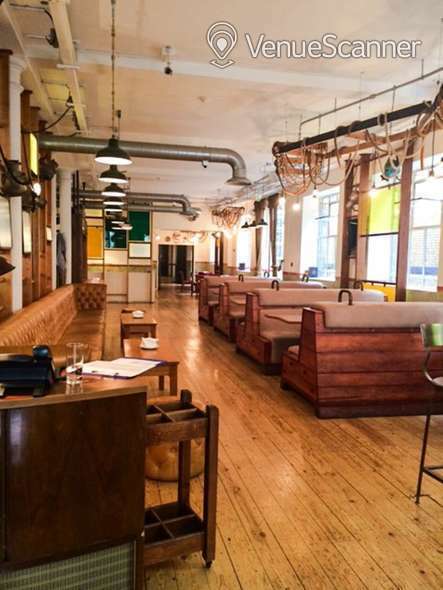 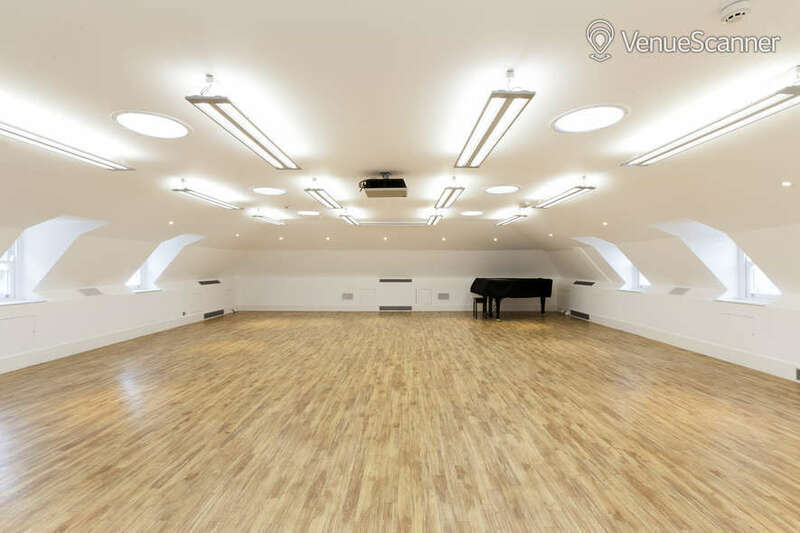 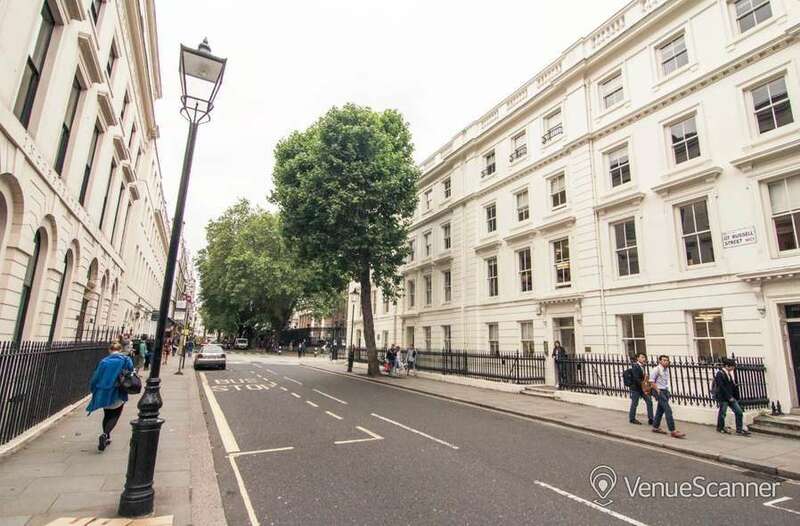 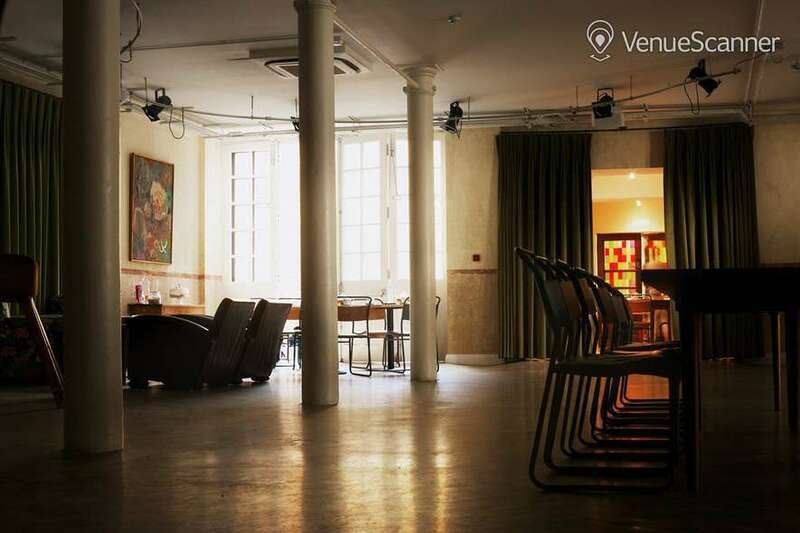 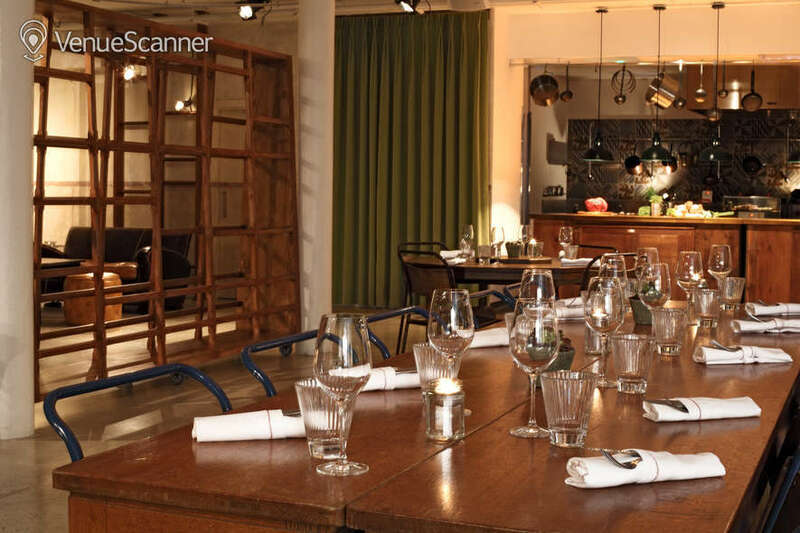 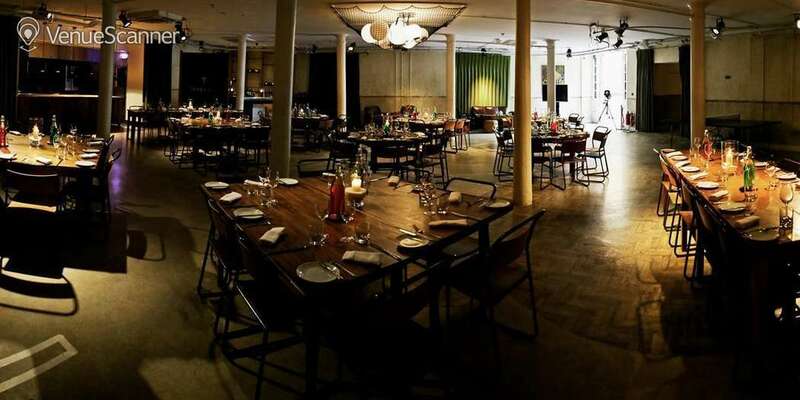 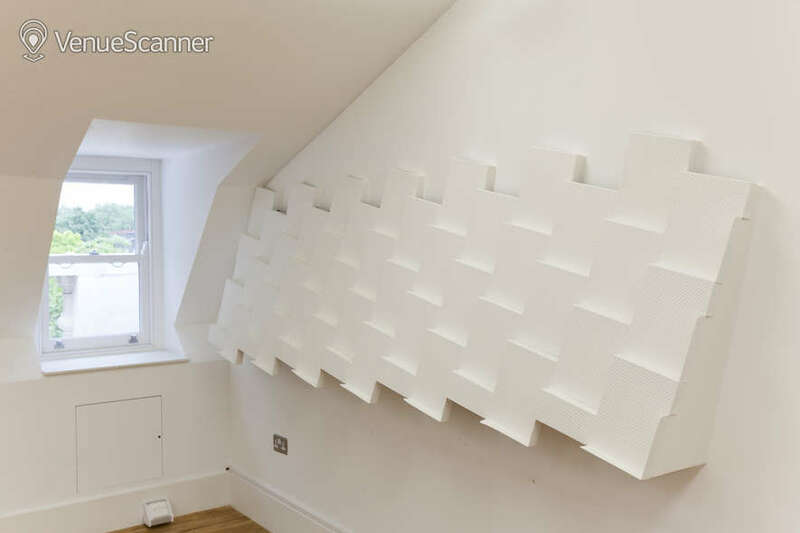 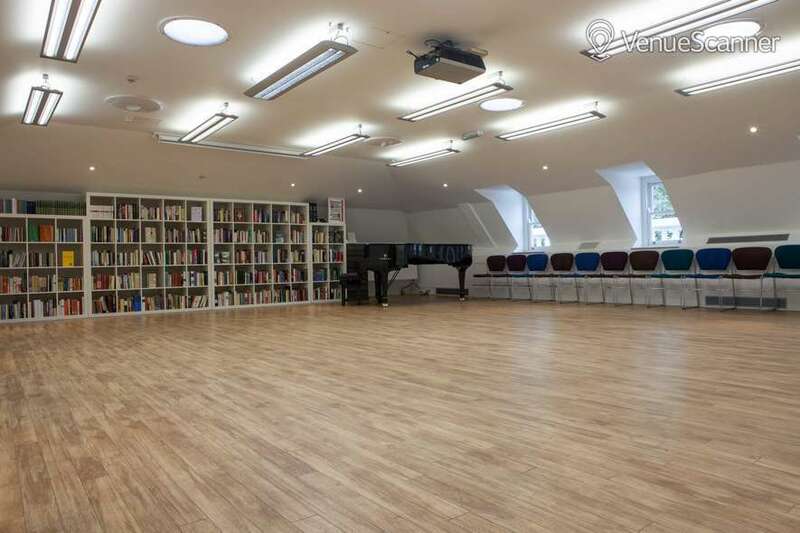 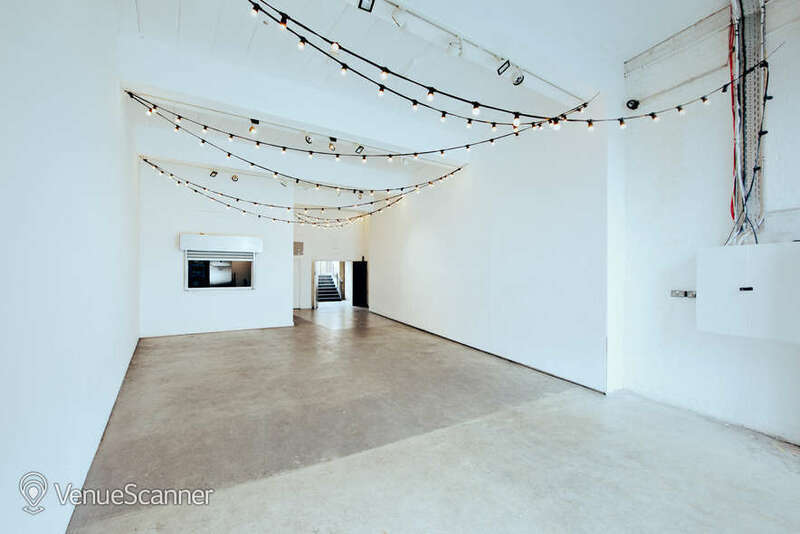 Slap bang in the centre of Soho this 1800 square feet, two floored space with stripped wooden floors and white walls can easily be tailored to suit any type of function. 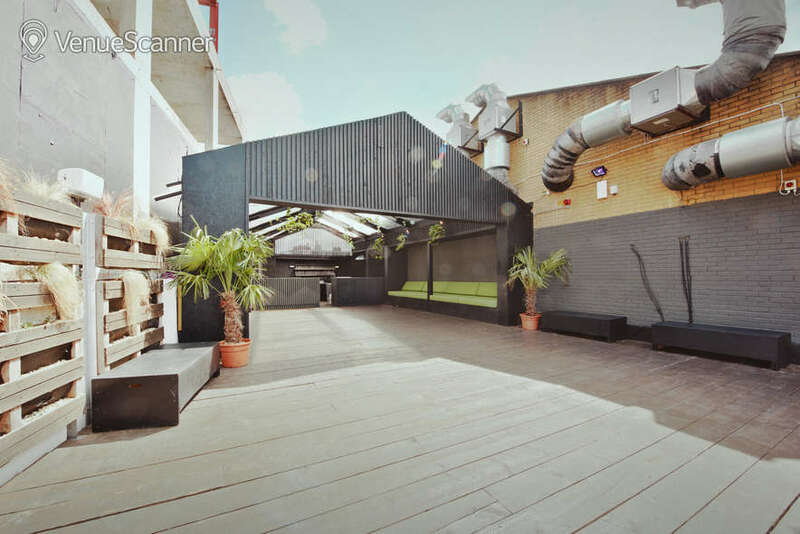 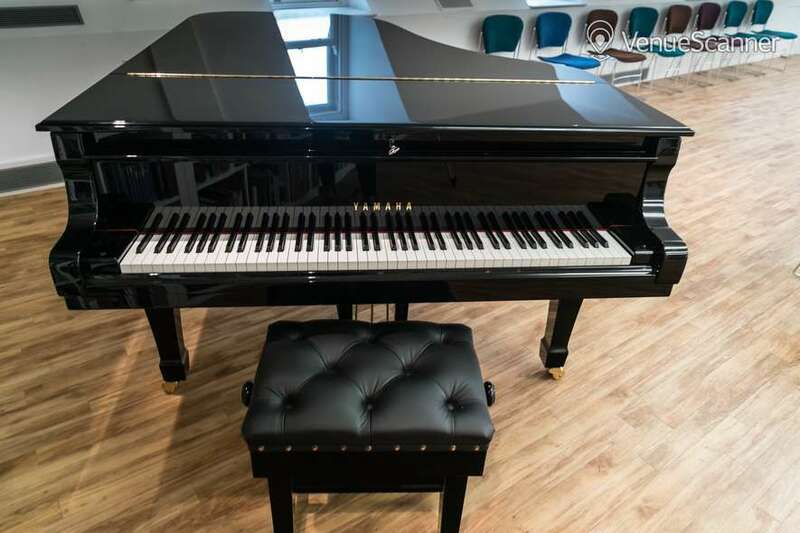 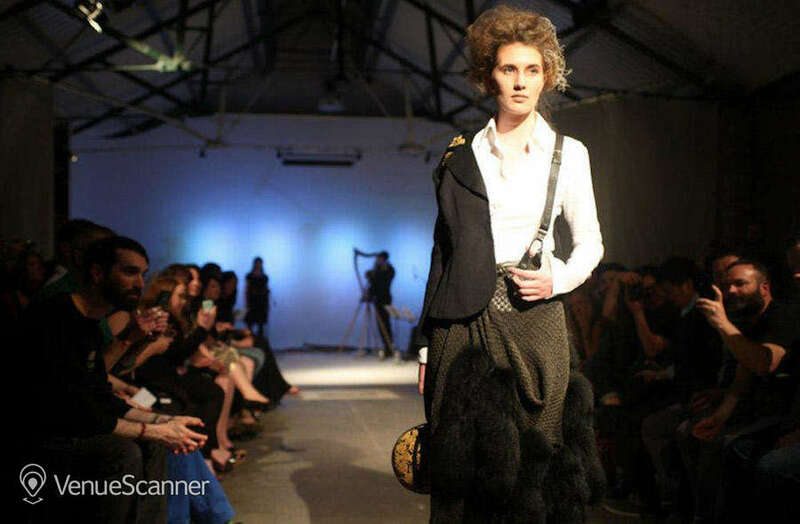 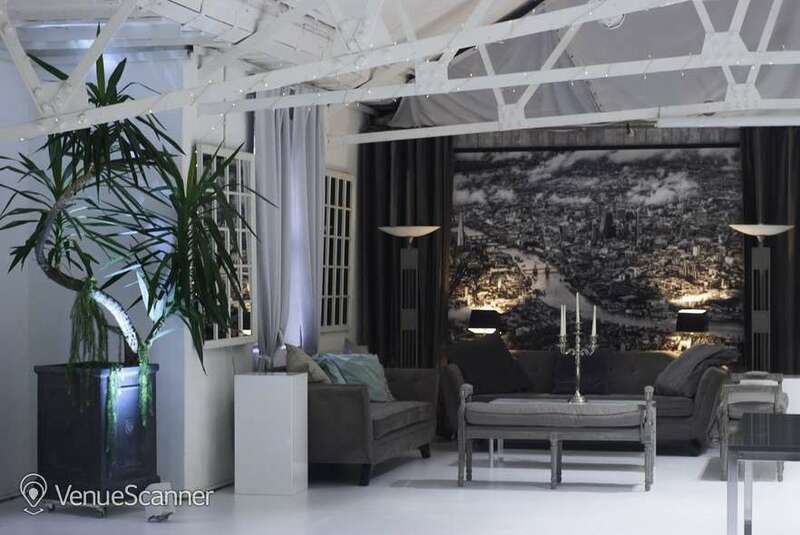 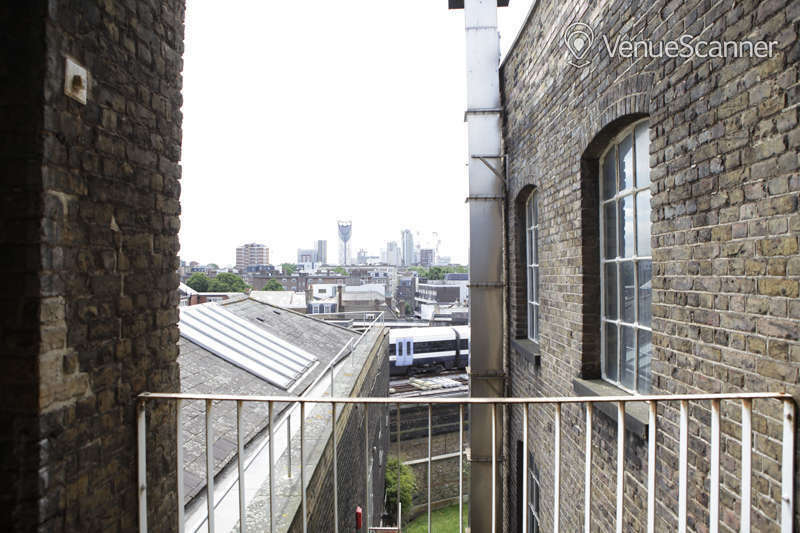 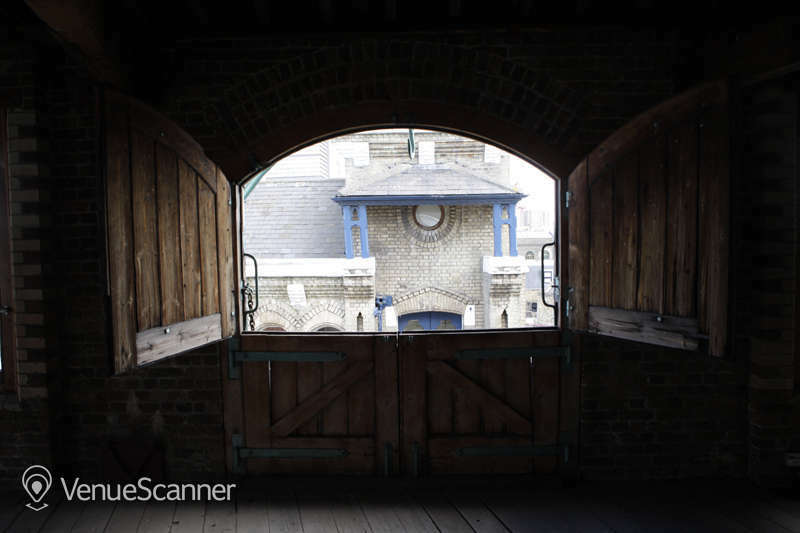 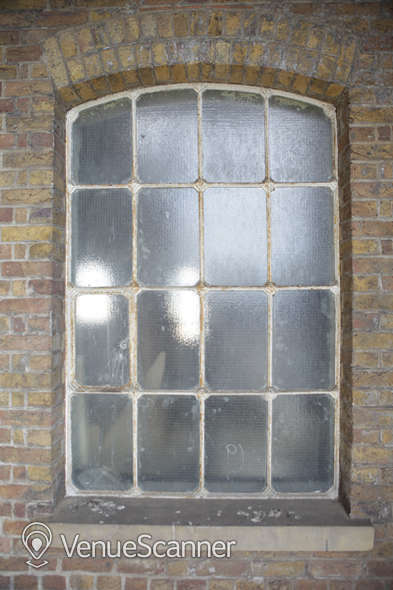 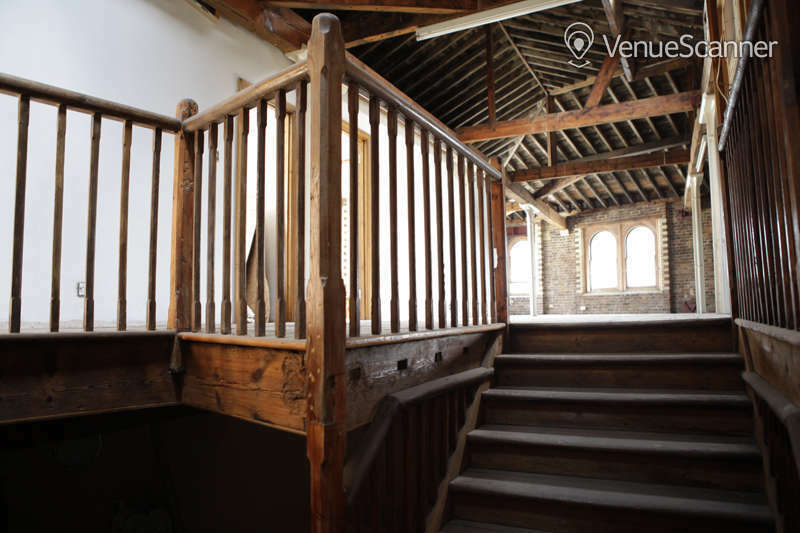 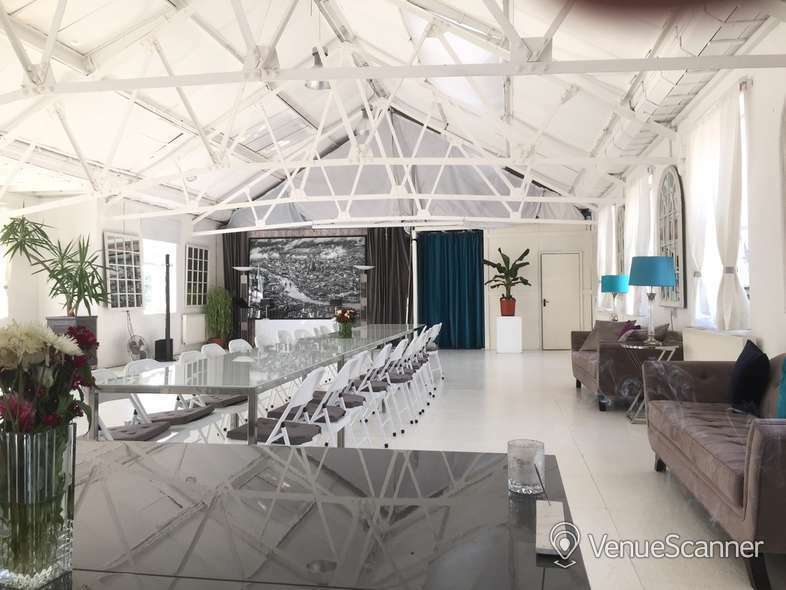 The premises consist of two adjoining railway arch studios with exposed Victorian brickwork, high ceilings, contemporary white infinity coves, green rooms, a small kitchen, mezzanine lounge and a spacious outdoor courtyard.